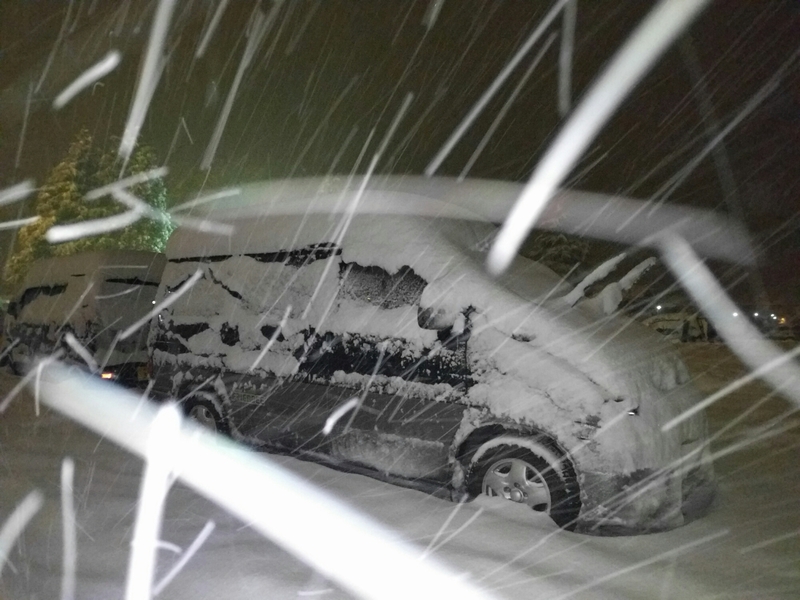 Yamagata Zao Onsen is known for the juhyo or snow/ice monsters (powderhounds review). There’s a ropeway to the top for sightseers and skiers in addition to a hodge podge of lifts. Only a few places have the right conditions for formation (not the same conditions for good skiing). Visibility was not great, but we could at least see them. Start of the 10km run from top to bottom. Signs every 0.1km. Only one ropeway goes to the top from one of the two sides of the mountain. It’s a royal pain to transfer between the sides, especially from transitioning from the Uenodae side with the Zao Sky Cable to the side with the ropeway to the top. The trail map lists combinations of three or four lists to do the job. We heard nine different companies own the lifts and are paid by the number of times they’re used. As such, they have no incentive to fix the connectivity issues. Lift tickets here are on a RFID card what works well unlike Happo-one where you pretty much need to give the sensor a big hug to get your pass in the range to be read. The best lift ticket deal we could find was this flyer on their website, which gives you 1000 yen off for a limited number of folks who show up early (7:30am until 8 or they run out. 30 per location) to collect coupons at the different locations. This deal of course has a number restrictions. They have a list of deals posted here. 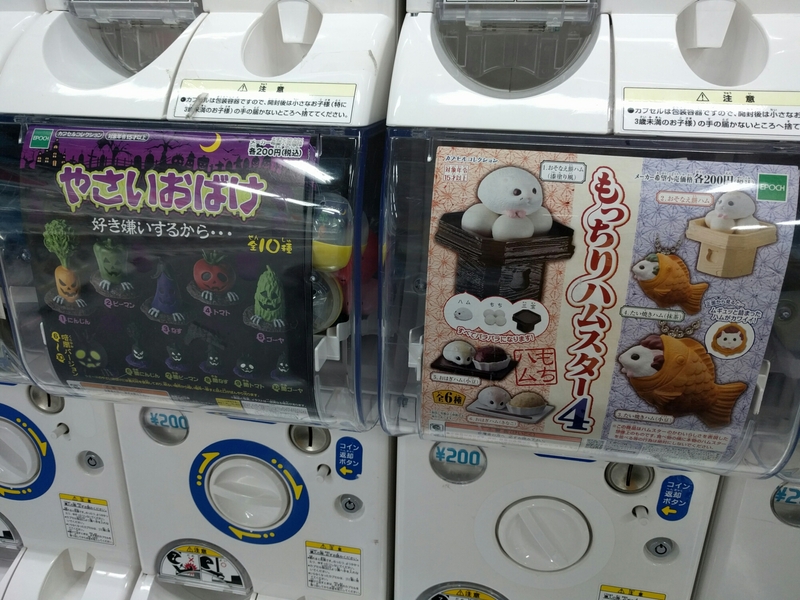 We used the first one on the right side (details on how you get the coupon in Japanese). Here’s an English town map. 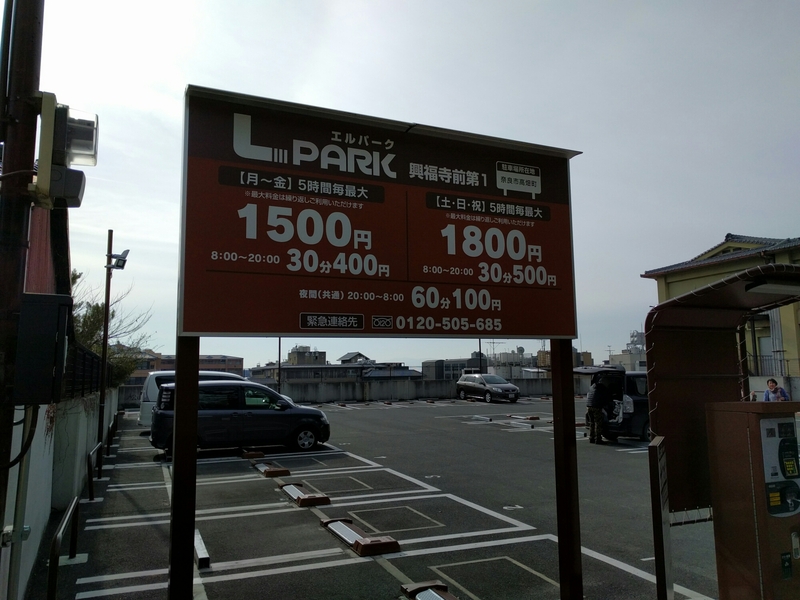 We went to the onsen station for the Zao Chuo Ropeway first didn’t see anything about the discount and the parking wasn’t free. Then, we headed toward one of the other discount locations, which Google translated to “second parking lot past Uenodai/Uwanodai.” Outside the Zao Gymnasium, we found free parking and an employee handing out the discount coupons that you take to the ticket office to buy your pass when the office opens later. More identically dressed Japanese skiers. These were in red and white instead of minion colors. Rob and I had a really great time skiing here. I don’t think we ever waited for a lift. 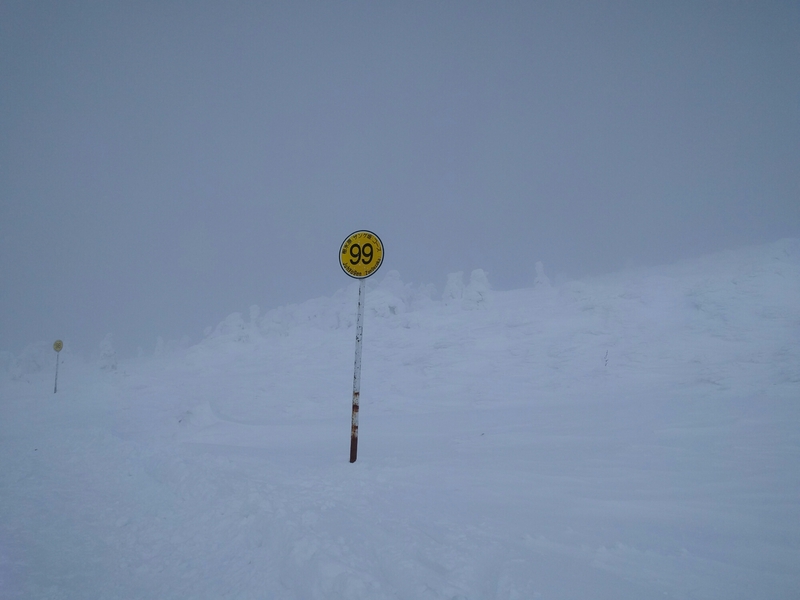 Our favorites were the 38 deg slope near omori and lift 22 and the forest of poachable trees under and around Kurohime #1(39). English trail map. Near the end of the day we took the Zao Chuo ropeway to the top and still found tons of fresh powder in the trees around lift 17, which we lapped until it closed. Then night skiing commenced and we still found powder under the lifts. 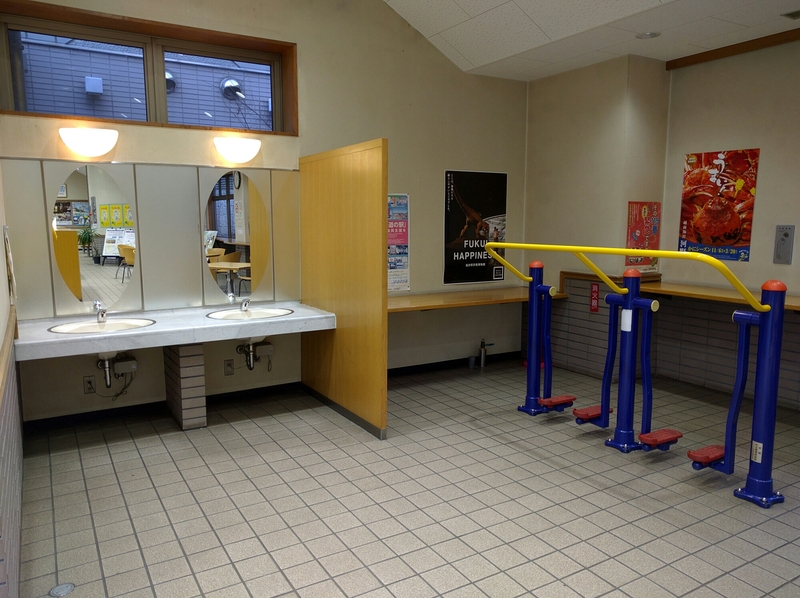 There are a couple public baths in the same style as Nozawa Onsen, but we shelled out for one with an open-air pool and parking (600 yen each tickets at the info desk on the floor above the onsen). 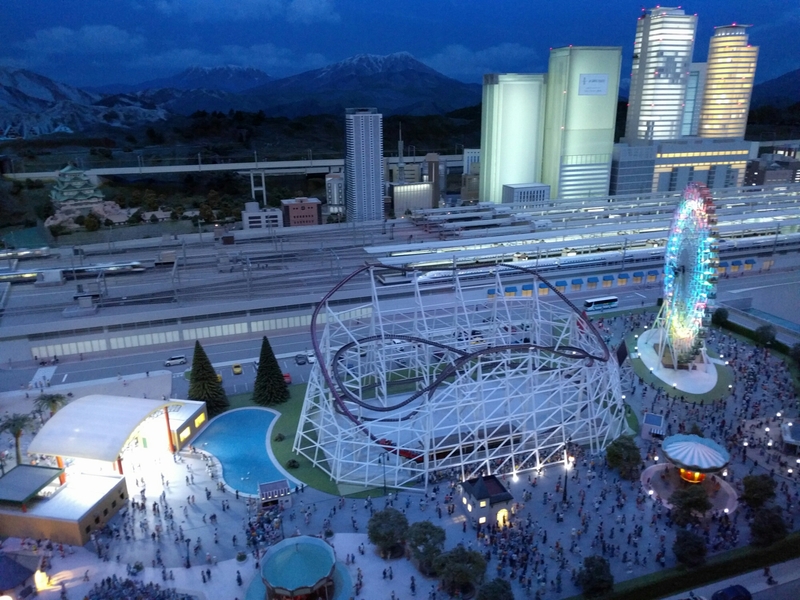 It was located in the center plaza (same building as familymart) next to the Zao Chuo ropeway. You could easily sneak in. The ticket collection gate doesn’t actually work. From cat sushi to woman sushi. 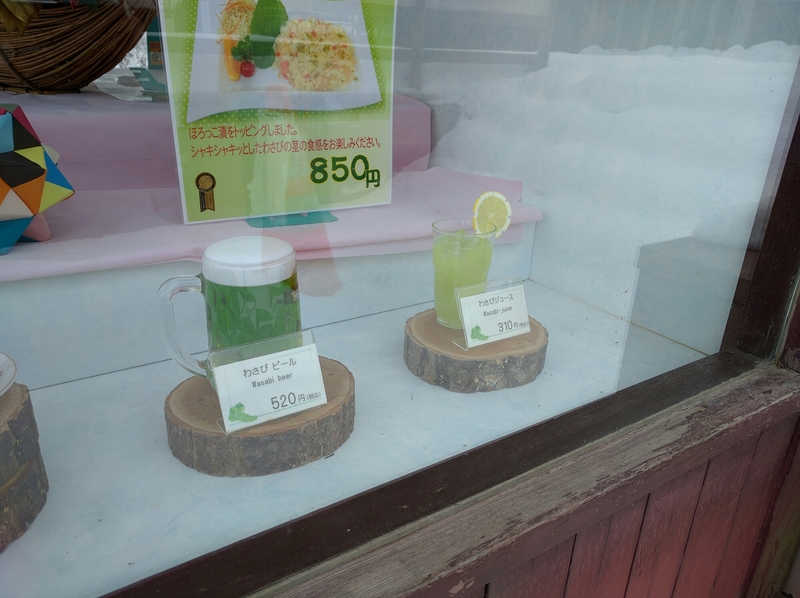 Seen near the center plaza onsen. 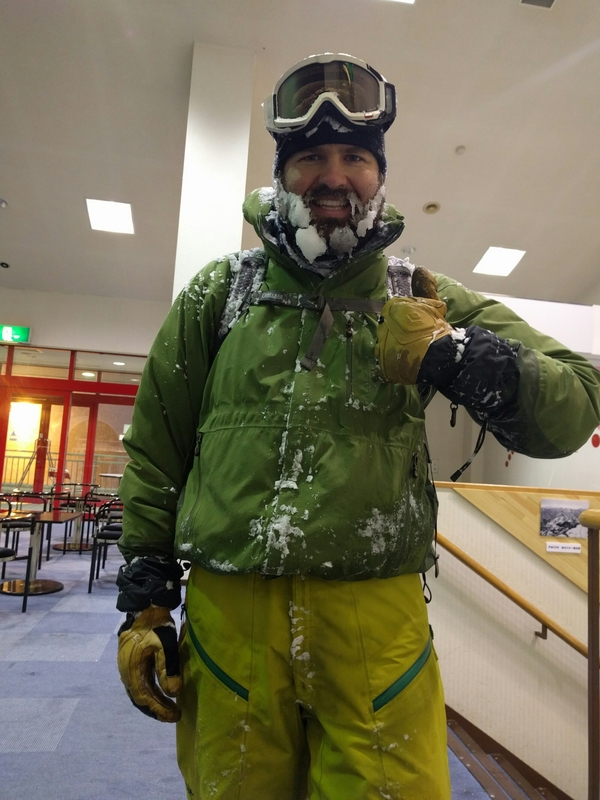 After checking the snowfall prediction map on snow-forecast.com, Rob and I decided to continue north and ski Tainai several hours away. This resort or any of its neighbors was mentioned on powderhounds, so we spent an agonizing hour Google translating the multitude of ski resort webpages. Tainai looked like there largest of the options. 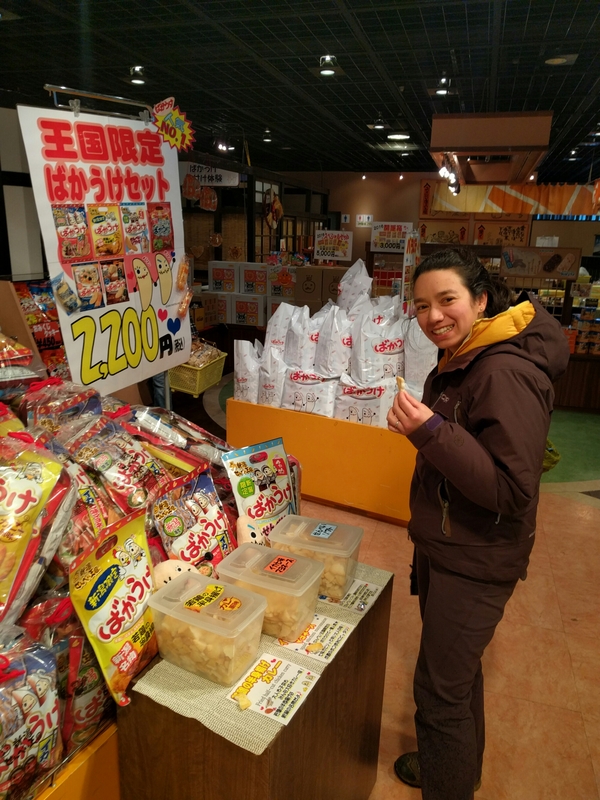 En route, we made a brief stop at a rice cracker factory that I found on trip advisor, the Senbei Okoku Rice Cracker Factory. 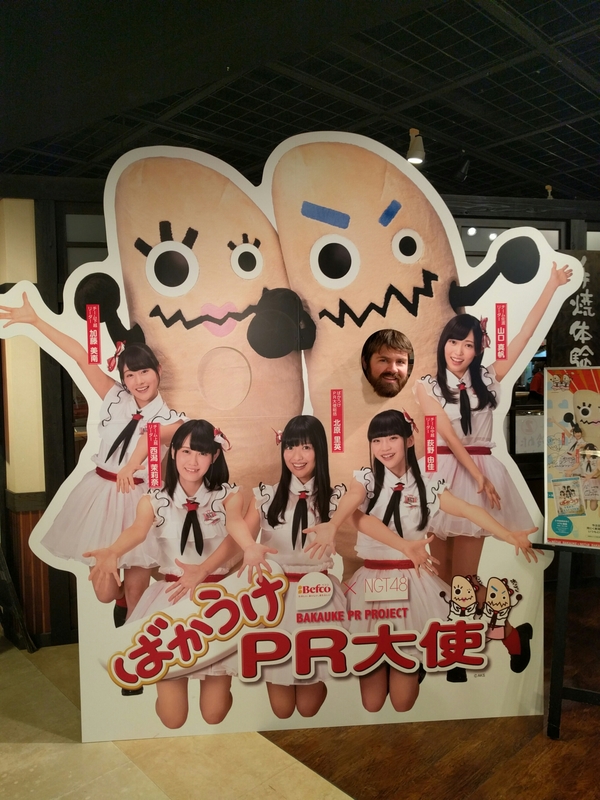 Some girls group helps market the rice crackers. Doesn't Rob look happy? Taste testing the rice crackers. They were sampling the flavors of curry chicken, squid with mayo and soft serve ice cream. I kid you not. All of the fun flavors. We sampled tons of rice cracker varieties then bought a bunch off of there seconds rack with unknown flavors. If you’re not cheap like us, you can try decorating and roasting your own rice crackers. Arriving at Tainai, it was puking snow. As it was 2 pm, folks were leaving. 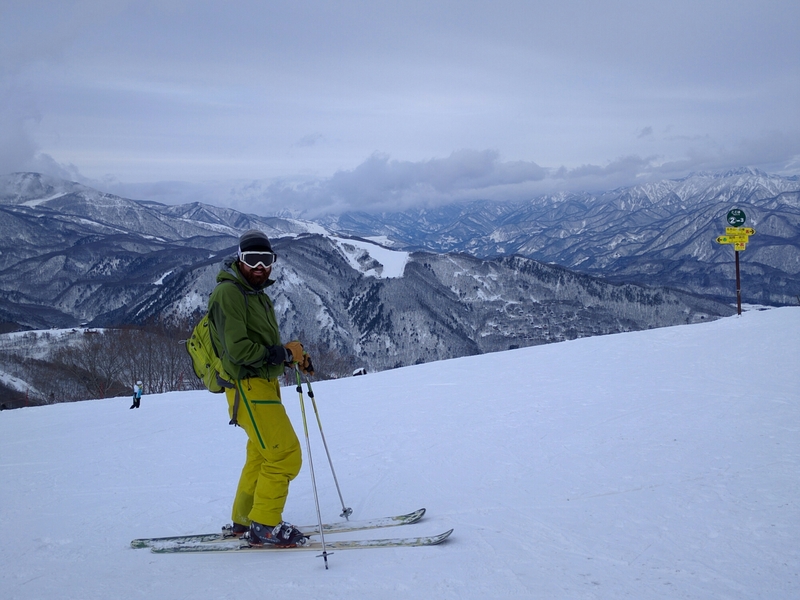 One gave Rob his lift ticket, so Rob skied while I caught up on my Japanese lessons in the lodge and listened to the J-pop blasting over the lodge speakers. It continued to snow overnight, so we stayed nearby to ski the next day. 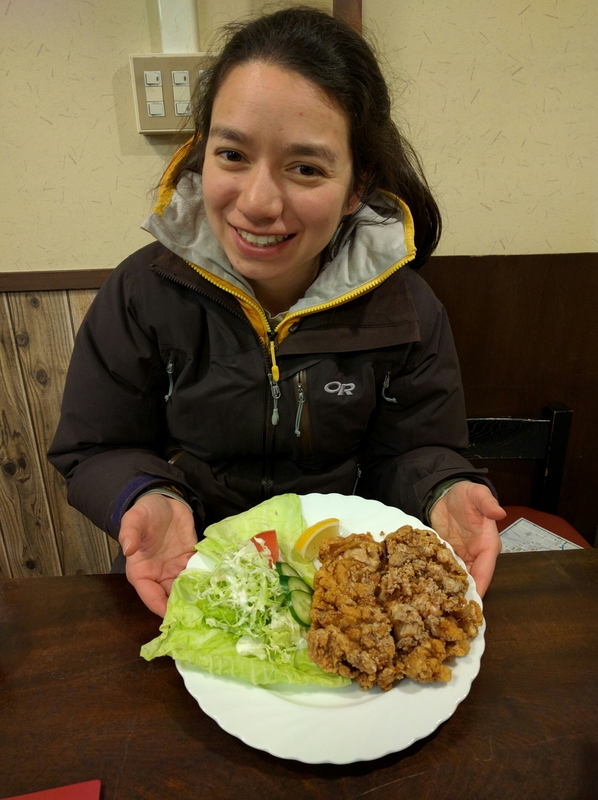 We considered hitting up Shibataninoji NINOX for some variety, but it was even smaller, more expensive and park-focused. 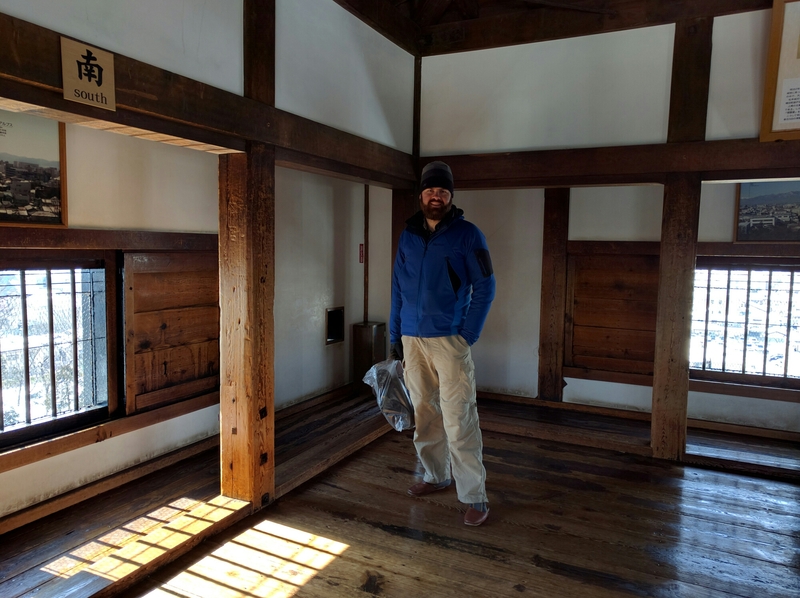 Instead, we returned to Tainai and purchased their 4 hire package deal with lunch and onsen for the same price as two half day tickets to the other place. Unfortunately, when we took the chair up, we realized that they groomed all the powder on most of the slopes. :(. Then we got ourselves yelled at for skiing in the powder slightly off-piste/in the lift line. All there trees that looked somewhat accessible to pack based on the map were actually out of reach. After a few hours of fast groomers and laps down the couple ungroomed runs (may or may not have been closed), we packed it in for our lunch. 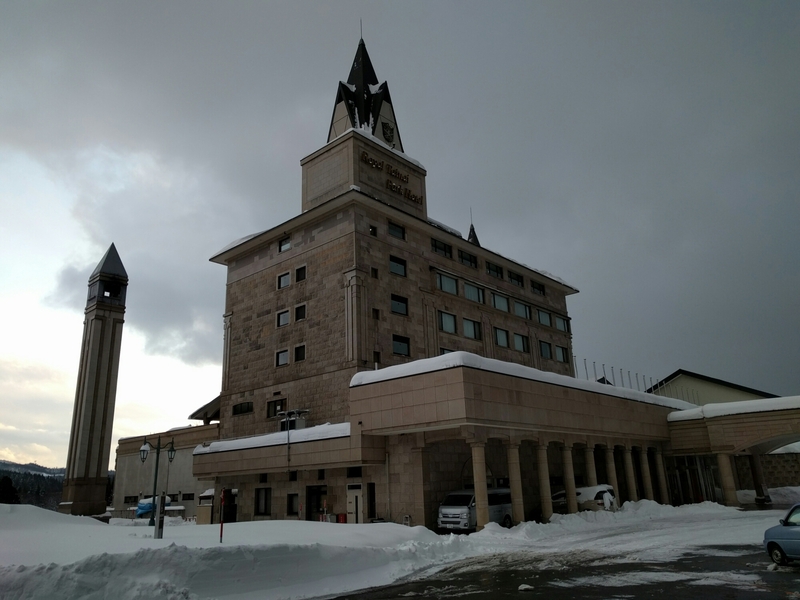 We did at least get to use the onsen at this fancy hotel nearby before continuing north toward our next destination Yamagata Zao Onsen. 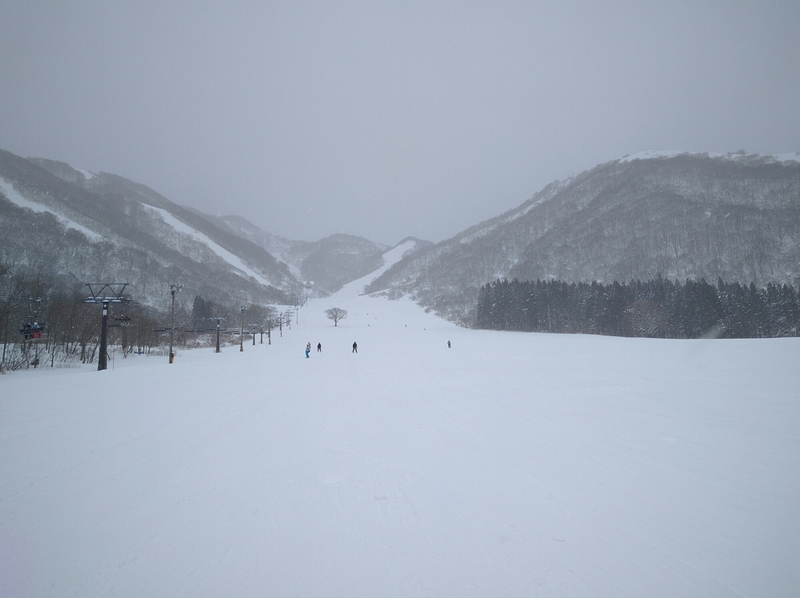 Tainai has great snow, but the terrain suits beginner and intermediate skiers/boarders better. Powder poaching options are limited and the chairs are old and slow two-mans (apparently the Japanese call these romance chairs). I love how they put no skiing/board signs over most of the trees. We picked up some half-day (until 1pm) lift tickets since we planned to spend the afternoon in the backcountry. The morning was fun in-bounds skiing the “self-responsibility” tree zone near the top. We had just crossed through a ravine and popped up on the other side when I spotted a furry brown bear running on the opposite bank. I was a bit too slow with the camera but we saw it a couple more times as we skied down through the trees. First bear sighting while skiing! Then, we crossed the rope and skied the side country trees such that we could hike back in-bounds at the end of the run along an old road. Since they didn’t check lift tickets (paper ones) on the top lift, we managed to fit in a few laps before the end of the day. With a quick stop at a free onsen (this one had milky white water), we were clean and ready to camp at the next michi no ekki. 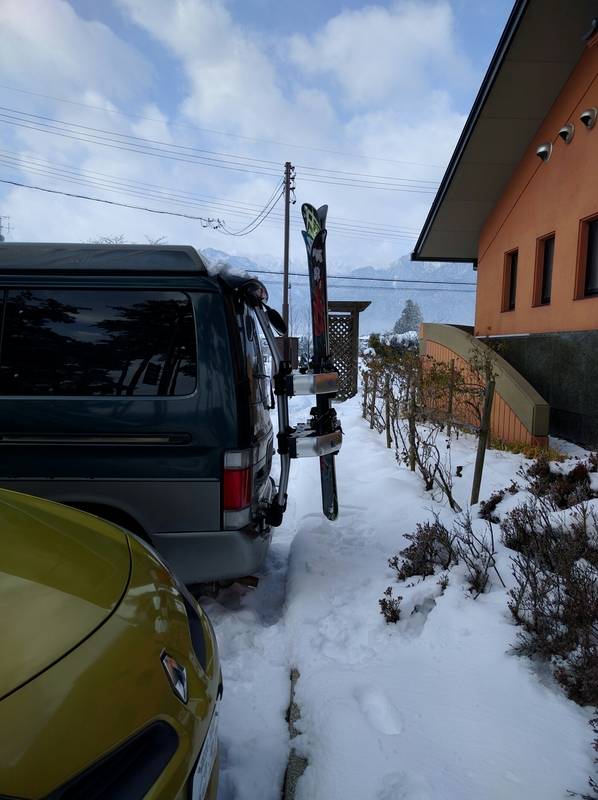 We would definitely ski here again- nice village, free onsens, good variety of terrain and mix of Japanese/Gaijin (foreigners). 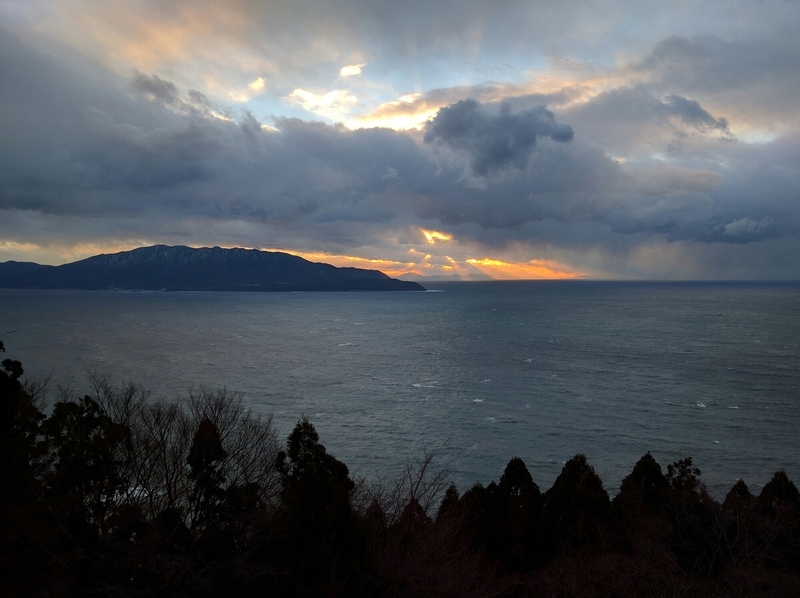 With a break in the storm cycle, Rob and I took the opportunity to continue northward on our journey to Hokkaido. 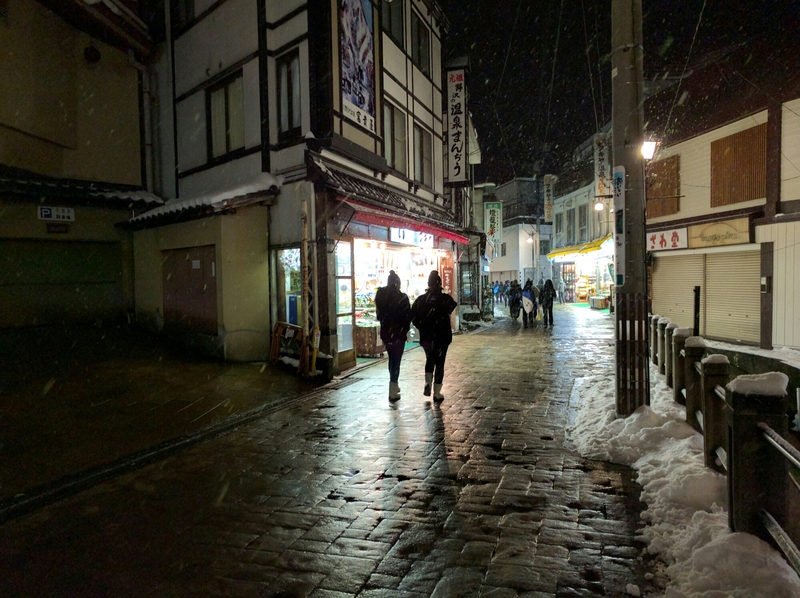 Our next night stop would be Nozawa Onsen, a town that has 13 free public onsens and highly recommended skiing. 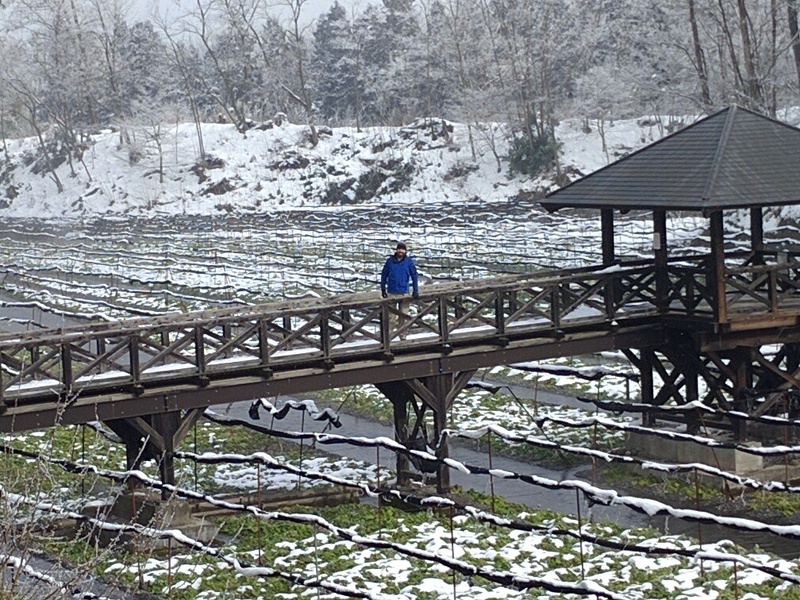 For the day, we planned to visit many of the Nagano tourist points. 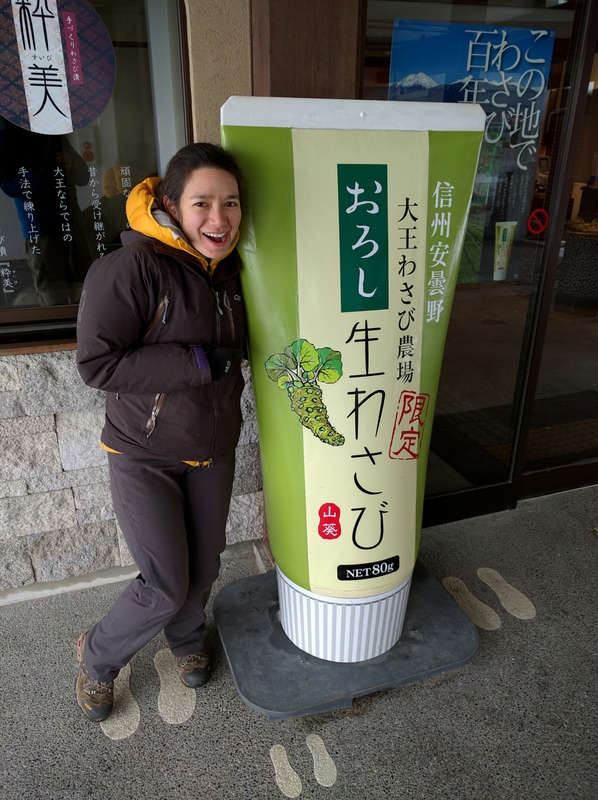 I was super excited about our first stop, the Daio Wasabi Farm. According to my Nagano good luck Japan magazine, it was open year round, but with going to a farm in the winter, our expectations were low. 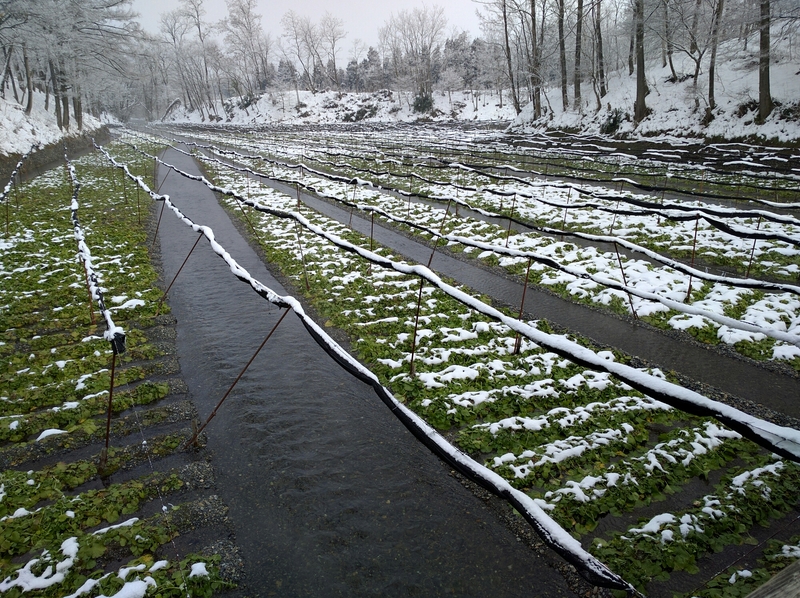 It turned out to be pretty neat with fields kept snow-free with flowing water and lots of Wasabi food samples. We headed to Matasumoto Castle next. 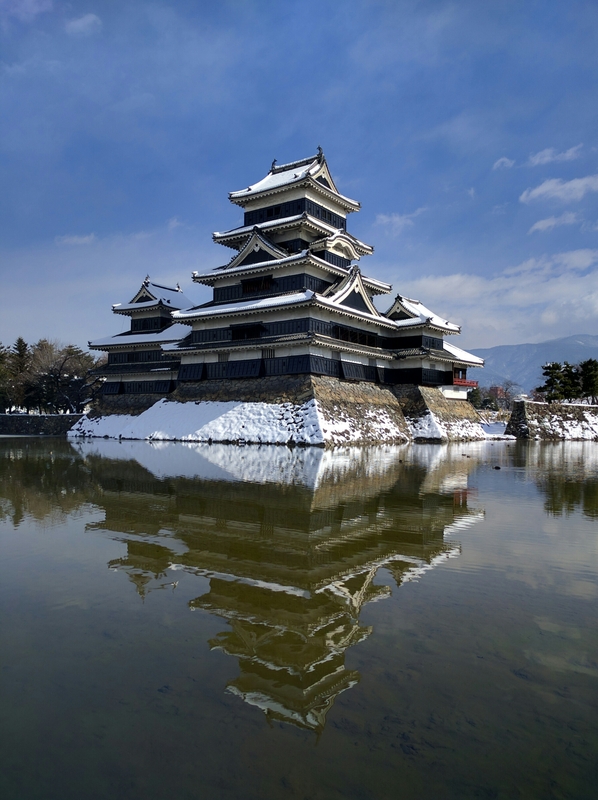 It’s one of the few wooden castles that survived the Meji Restoration and WWII (and of course burning down due to any number of other causes). I had read that one of the specialties of the area is chicken marinated in garlic than breaded and deep-fried. The lady at the tourist info pointed us to a restaurant, Takagi, on the second floor a few doors down. They served us this huge piece for 650 yen. So good! 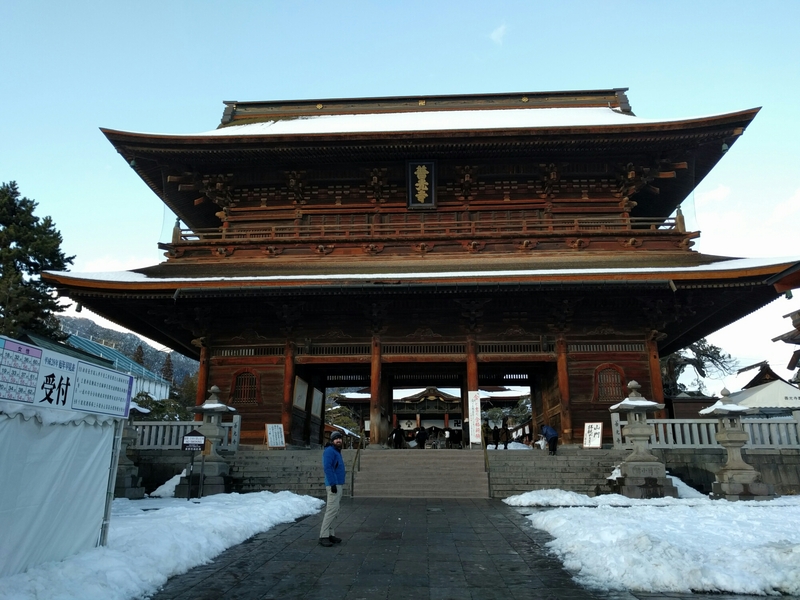 For our last stop, we visited the Zenko-ji temple in Nagano. It was mainly closed down by the time we arrived, but the exterior was still neat. We also had our first “we shouldn’t be driving here moment.” Following Google maps’ directions to a temple took us on the a pedestrian street( we looked later but there really weren’t any do not enter signs, only a couple bike/walk ones on the sides of the road). A shopkeeper let us know, however, turning around was difficult, so he had someone unblock the end of the street for us. Finally, we arrived in Nozawa onsen and grabbed our towels and soap to try one of the public onsens/and check out the village. It was snowing as we were walking around town, so we decided to ski there in the morning if the snow kept falling. The parking lot had some amazing heated bathrooms, although later (5 am the next morning) we learned that it was day parking only except by special permit. 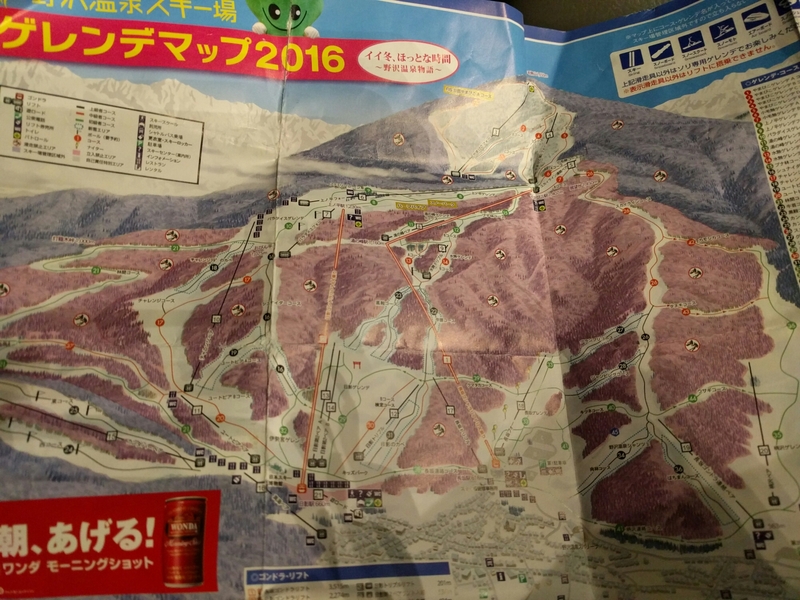 For our second day, we were torn between Tsugaike Kogen and Happo-one (pronounced oh-nay). Both were about the same price for a day ticket, 1000 yen lunch and onsen discount coupon, 5100 yen and 5200 yen, respectively with repeat customer coupon (this coupon has deals for Happo-one, Tsugaike Kogen and some other place). 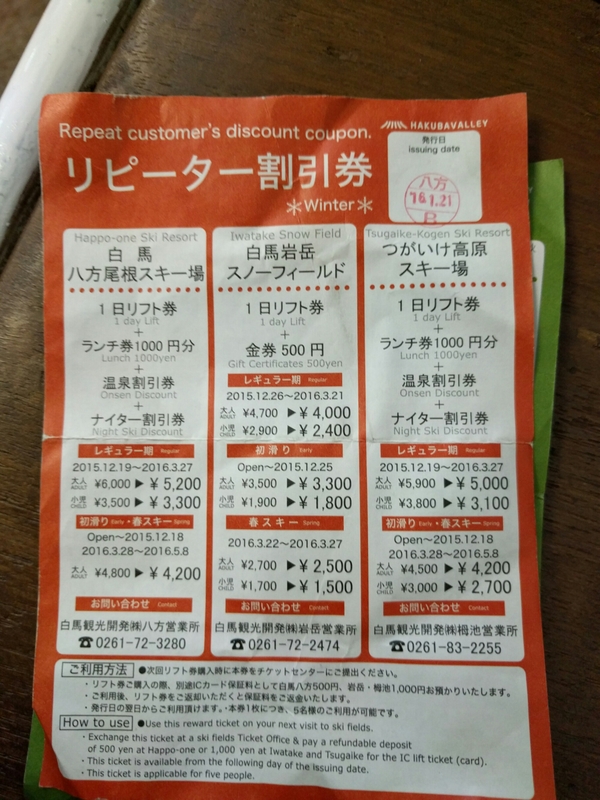 This coupon is not available from the tourist info (although they do have some that are not quite as good of a deal ~100 yen more. If you can’t make it there, check online. ), but they give them out at lodging places or when you buy a lift ticket. 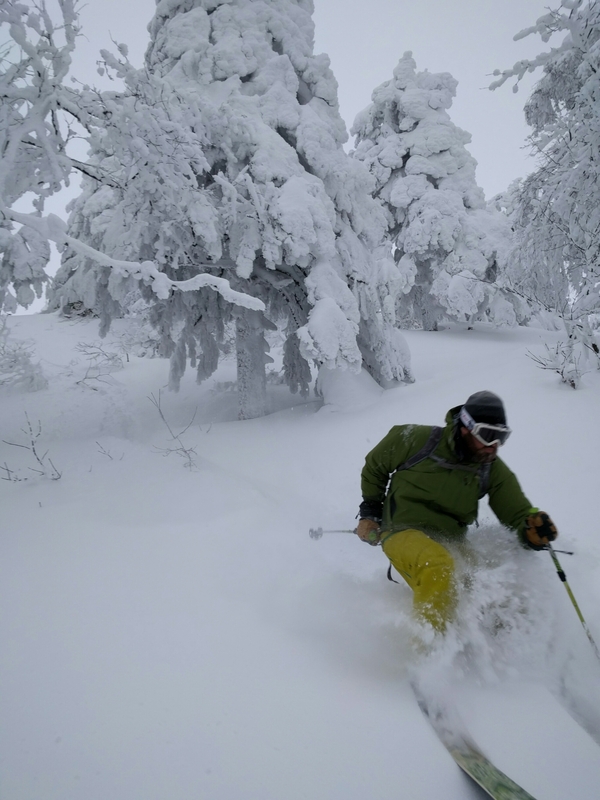 Happo-one, Tsugaike kogen coupon. It works for up 5 people. 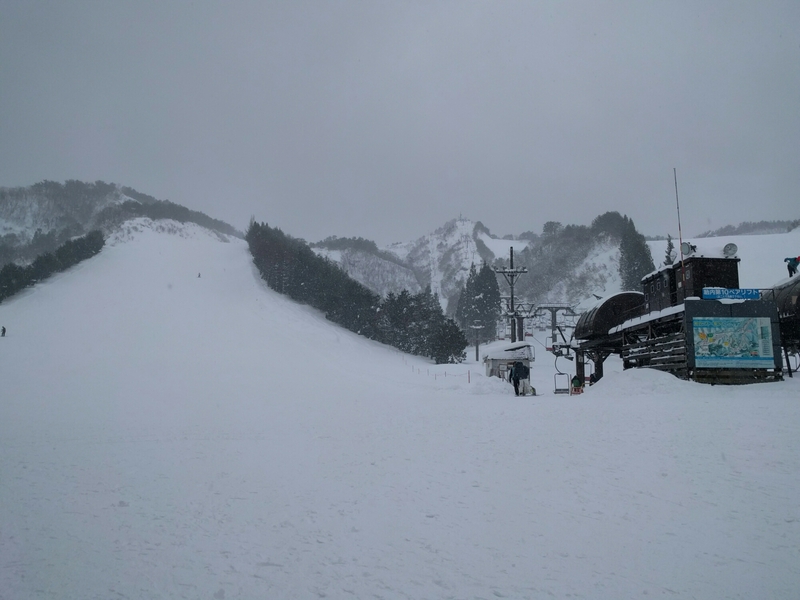 Happo-one hosted many of the 1998 Nagano Olympic events and is more alpine, where Tsugaike is more tree skiing with better backcountry access. However, their in-bounds terrain is supposedly pretty boring. After waiting around a bit in the Happo-one parking lot, we decided to buy lift tickets when the mid-mountain lifts opened. 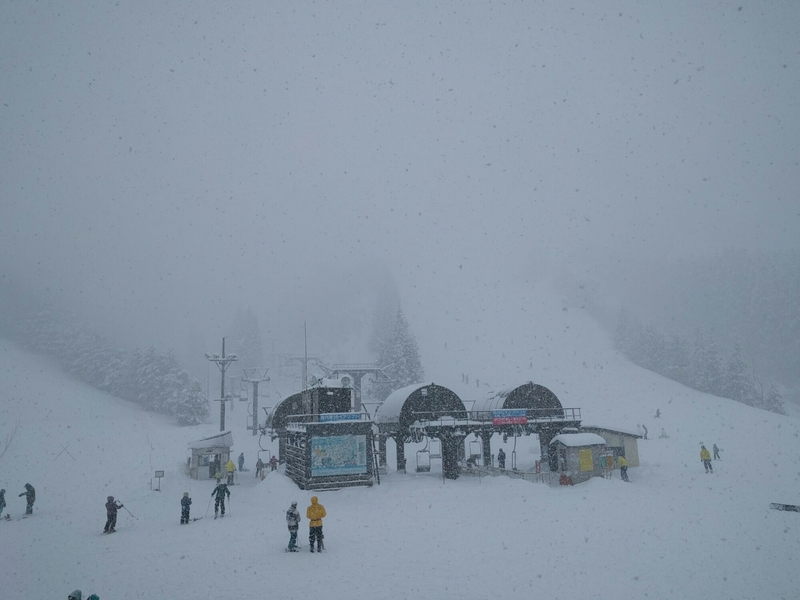 It turned out to be a good call because eventually the top chairs finally got going. We did fit in a bit of skinning in to access a run that didn’t have list access open yet. Most others were boot packing, but an older man was also skinning up. Rob and I ran into him over lunch and learned he was also another Japan Campers customer. What are the odds? I think there are only 20-30 camper vans. Unfortunately, we had to rip skins in a hurry when the lift began running. Runs had nice powder but a majority of it was wind effected. We managed to find some fun dropping small sections of trees off of the many little ridges. 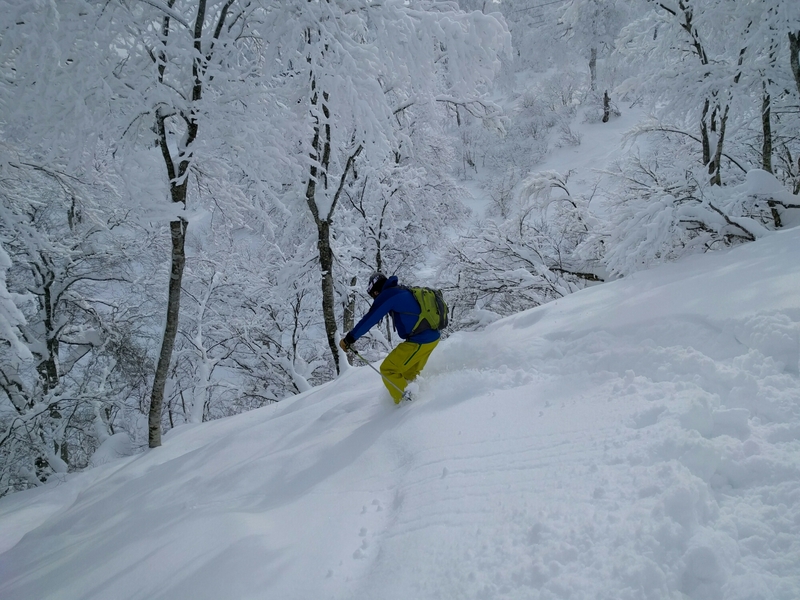 No one bothered us about being off-piste (not always considered in-bounds in Japanese ski resorts). After skiing, we used our combo coupon to enjoy the hot spring pools at a nearby onsen. This one, mimizukunoyu next to Hotel Hakuba, was peaceful with indoor and outdoor pools. It also had great WiFi, which the laundromat in town where we headed next lacked. 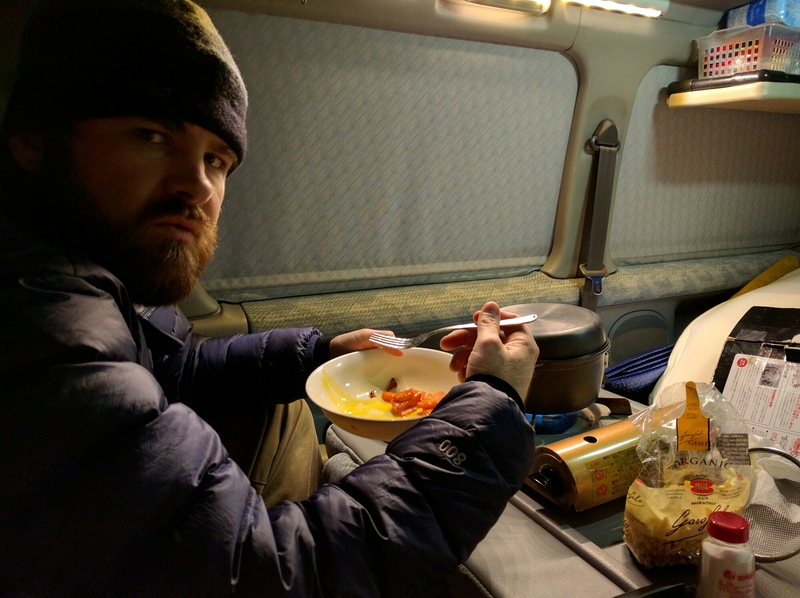 We were able to cook a tasty ramen dinner while the clothes were washed and dried. Yay for efficiency! 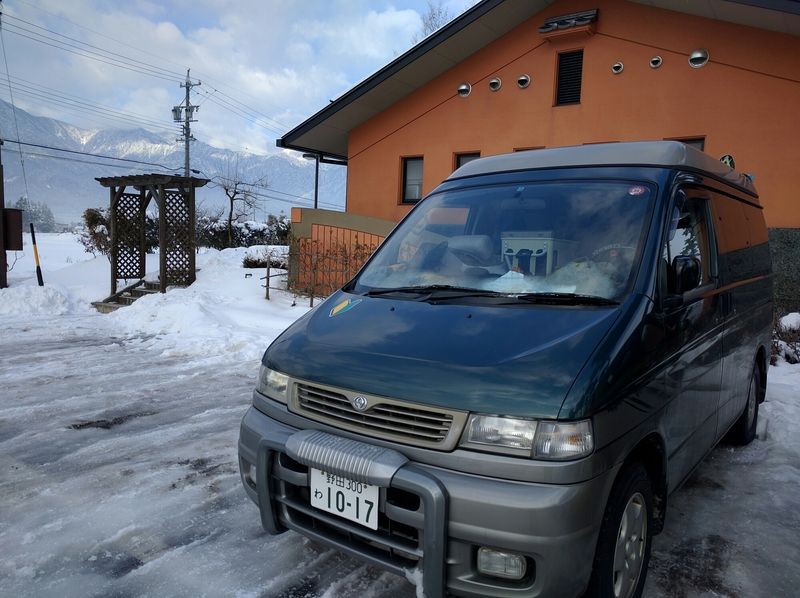 Next stop – michi no ekki Azumino City for a day of non-skiing adventures. 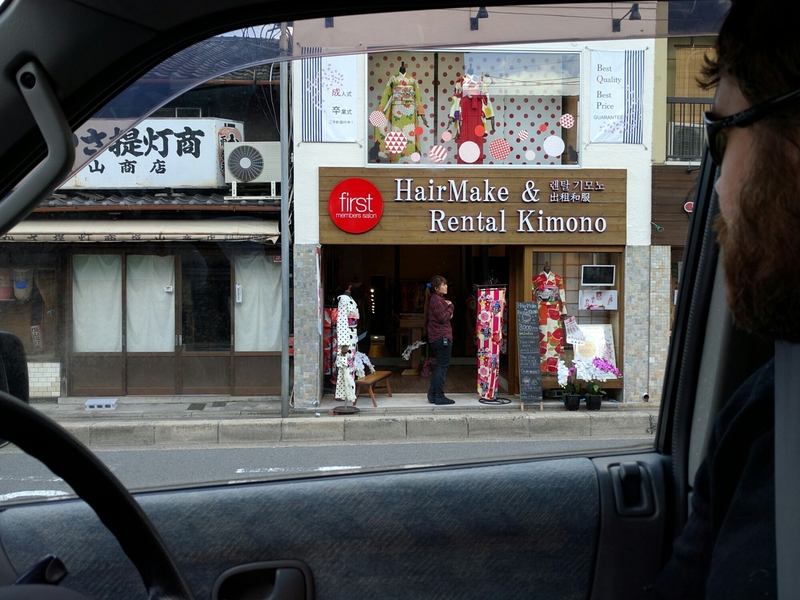 Andre from Japan Campers had mentioned cheap Kyoto parking right near Kyoto station. After a bit of circling, Rob and I finally located it here. 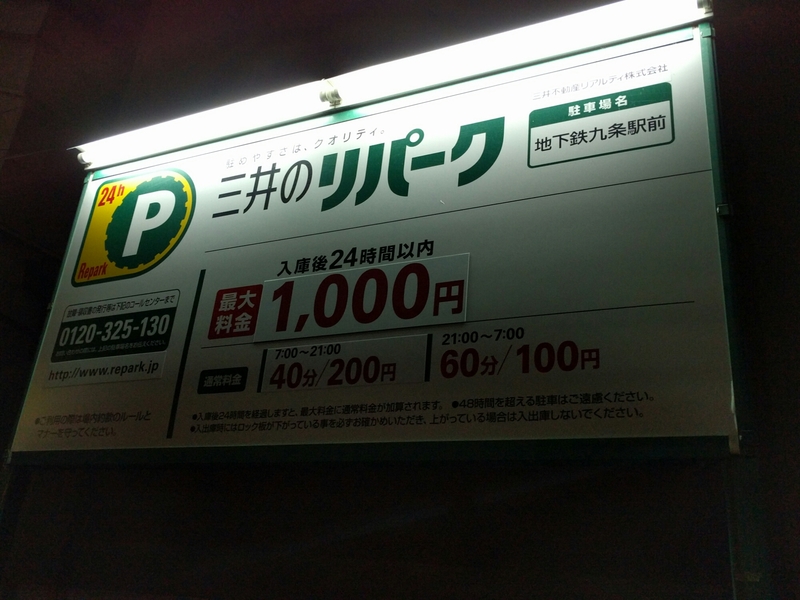 It’s a bargain at $8.50 or 1000 yen for 24 hours right next to the Kujo metro stop. The metro stop exit is on the same side of the street and has bathrooms outside the pay zone at the bottom of the stairwell. With the car parking a success, we wandered the Kyoto station area checking out the neat station building and Kyoto tower. I dragged Rob to Yodobashi Camera to do some shopping, mainly looking. He didn’t resist too hard because he’s obsessed with a fancy Sony wide angle lens that he looks for everywhere. The fifth floor has an amazing outdoors store and a booth with the most impressive display of mountaineering boots that I’ve ever seen. The top floor has all the fun toys including a collection of nerdy board games in Japanese. 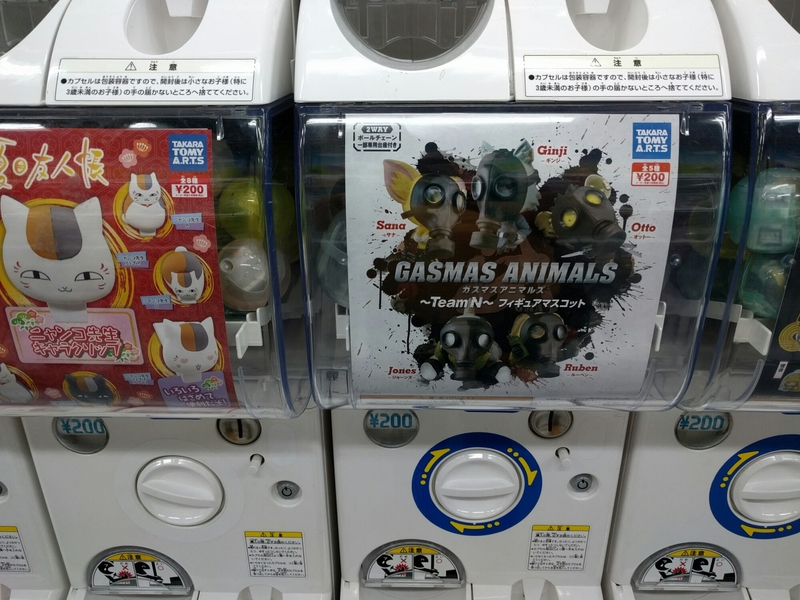 My favorite part was the ridiculous aisle of vending machines offering a variety of novelties for 200-300 yen. I wanted to buy it all, but Rob restrained me. Instead I took pics of my favorites. Aisle of vending machines on the top floor of Yodobashi Camera. 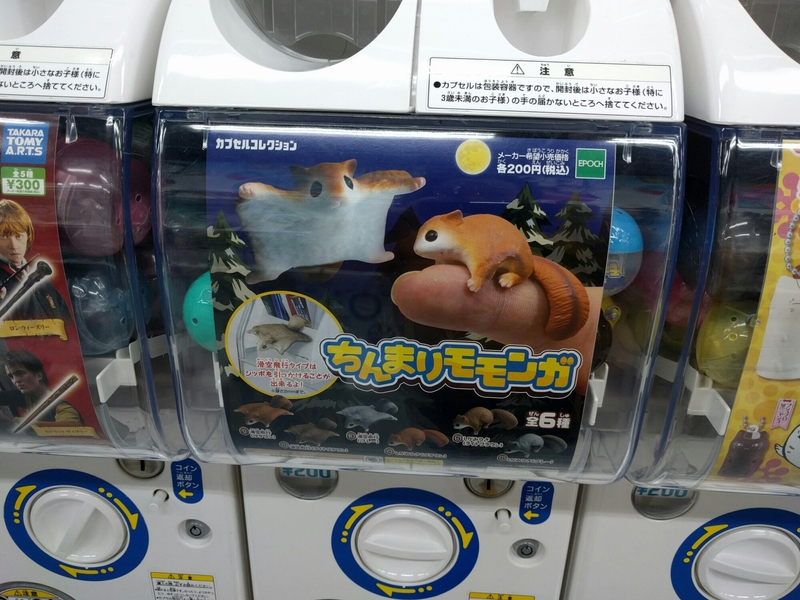 Flying squirrels live in Japan! 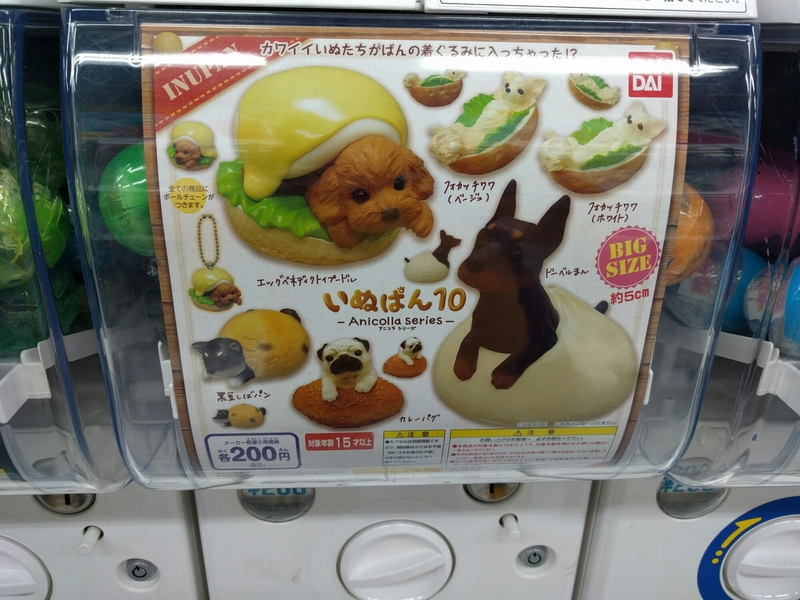 Animals+food=super cute. 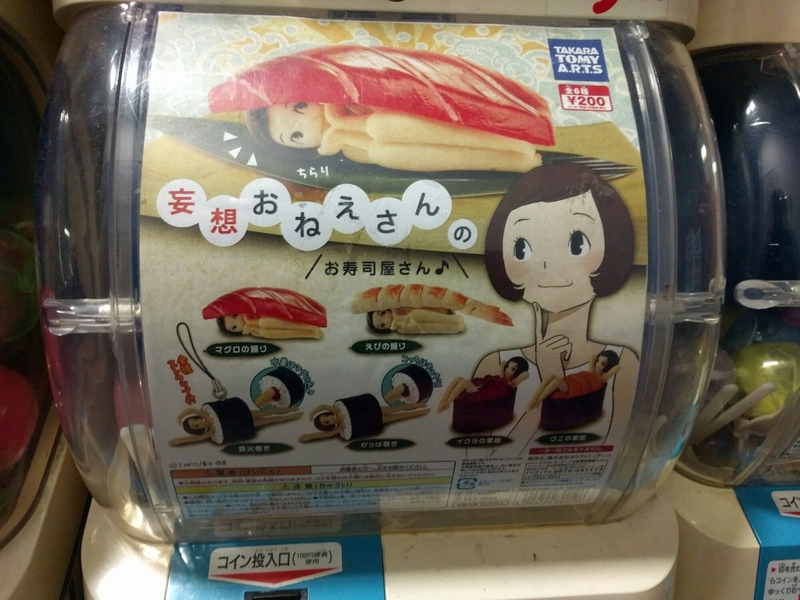 We also saw car sushi. Not sure if this is a reference to something in particular. The next day we bought the Kyoto metro day pass for 600 yen apiece to visit the in town sights. The morning was rainy but because we grabbed the umbrellas out of the van, the rain abated pretty quickly leaving us dragging umbrellas and around the rest of the day. 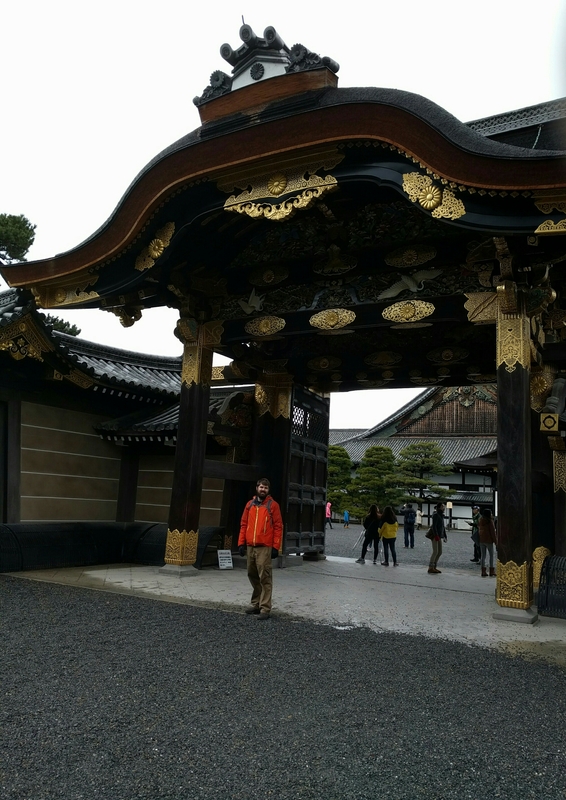 Our first stop was Higashi Hongan-ji. In order to view inside the Goei-dō hall, we had to remove our shoes and bag them. It was then we realized our terrible shoe choice for a day of sightseeing. Hiking boots while water resistant are vexing to pull on and off. Lonely planet had warned us about this but we had forgotten. Gate to Ninomaru at Njiō-jo. Our next stop was Nijō-jō, a castle surrounded by moats and gardens. The Ninomaru was especially lovely with paintings on all the wall screens. Mostly reproductions are shown with the originals housed in a museum nearby. 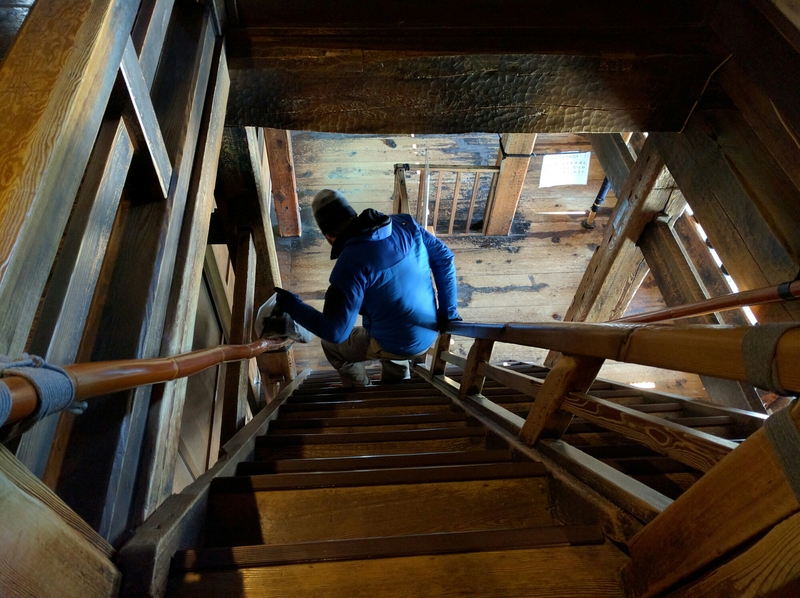 The castle was unheated, so after walking around in slippers, we were ready to warm up. A quick lunch at the Japanese fast food chain Sukiya did the trick with a hot pot and a gyudon bowl (thinly sliced meat with rice). 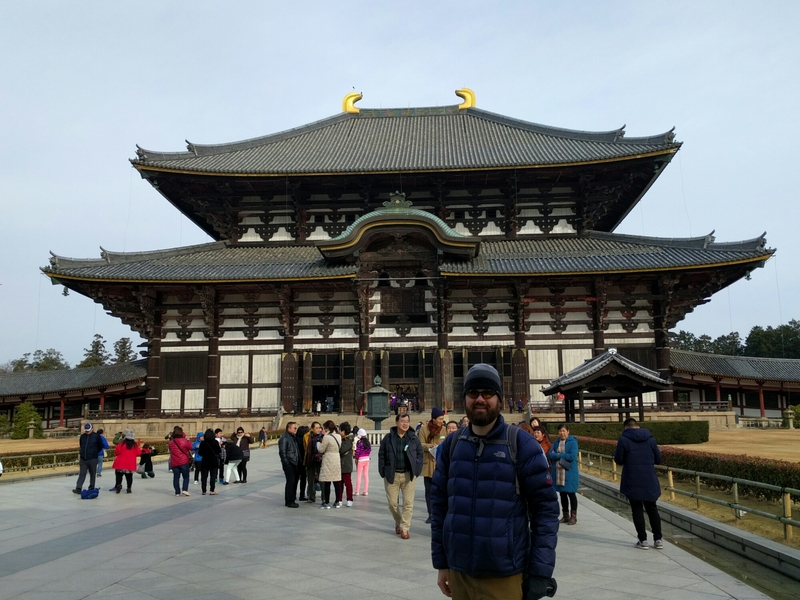 After that, we saw even more temples, including Nanzen-ji with an icy waterfall that pilgrims sit under and Kōdai-ji with its serene Zen gardens. 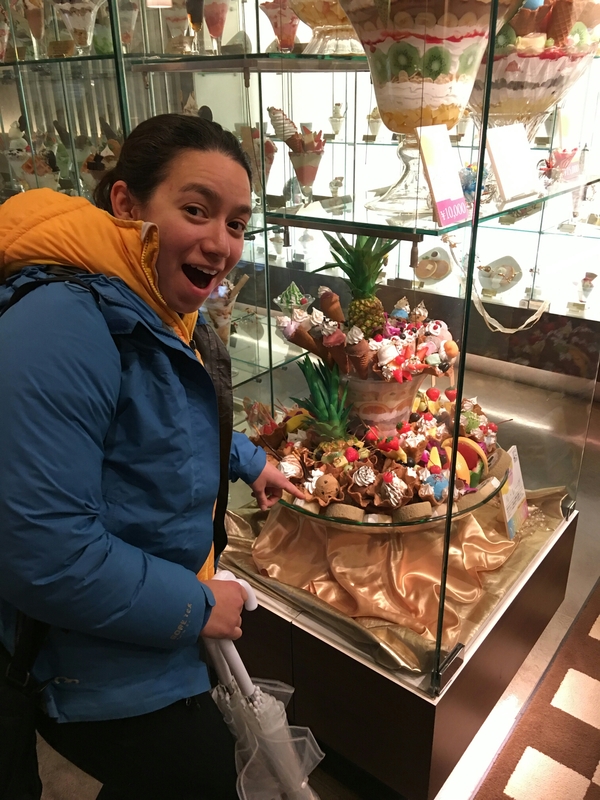 We wandered the Danzen-ji complex, which was mostly shut down, before a snack pit stop at Karafuneya Coffee Sanjō Honten (からふねや珈琲三条本店), what lonely planet described as a “futuristic dessert museum.” They had some parfaits with fried food in them, but Rob chose a tiramisu one. The real thing looks just like the model. How often can you say that about restaurant food in the US? 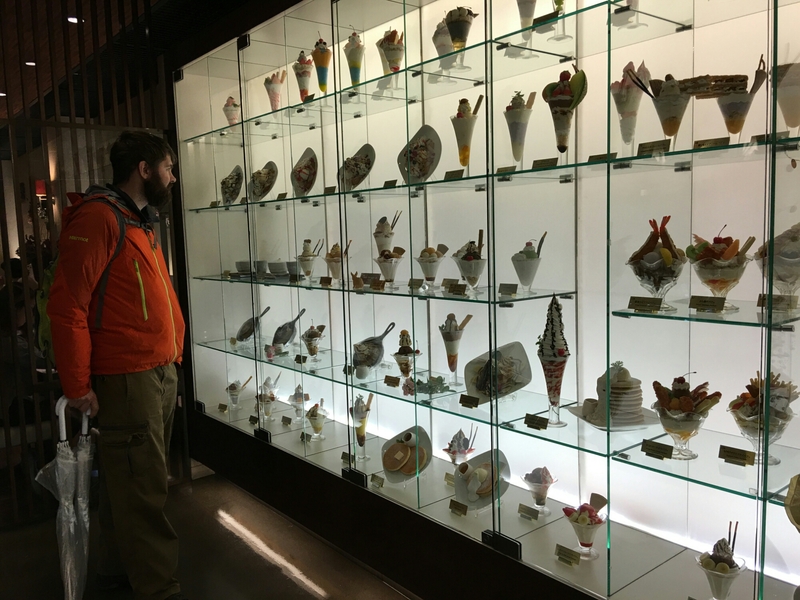 Amazing display of replica desserts. This is only half of the collection/menu. 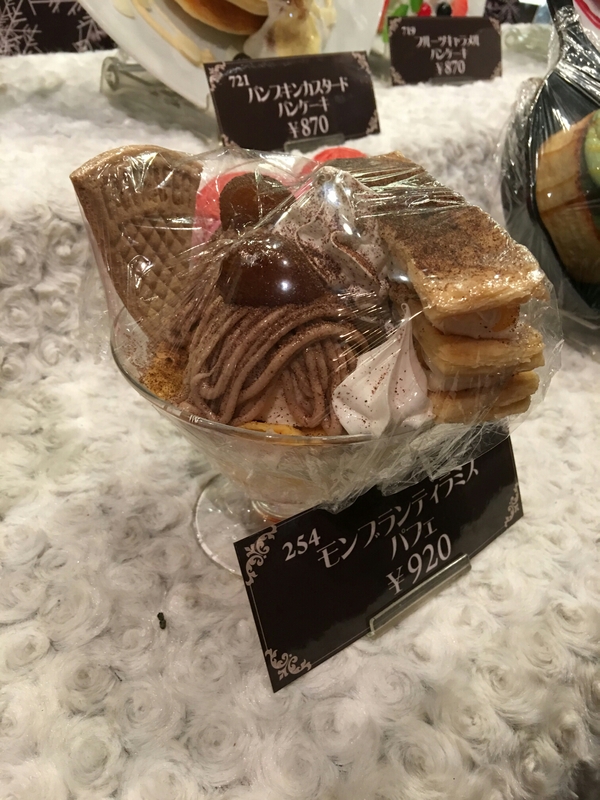 This dessert costs over $100 usd and requires a special reservation. The tiramisu parfait that Rob ordered. Rob with his actual parfait dessert. In the evening, Rob and I roamed the Gion district famed for its geisha and tearooms. 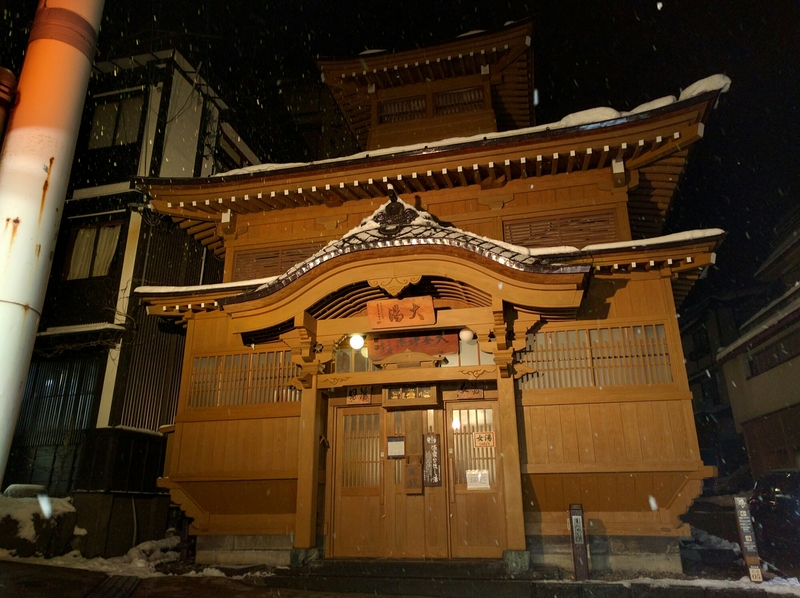 We didn’t see either that we recognized a such, but some of the alleys and side streets still recall a bygone era providing a glimpse of what Gion was like before modern shopping took over the main streets. 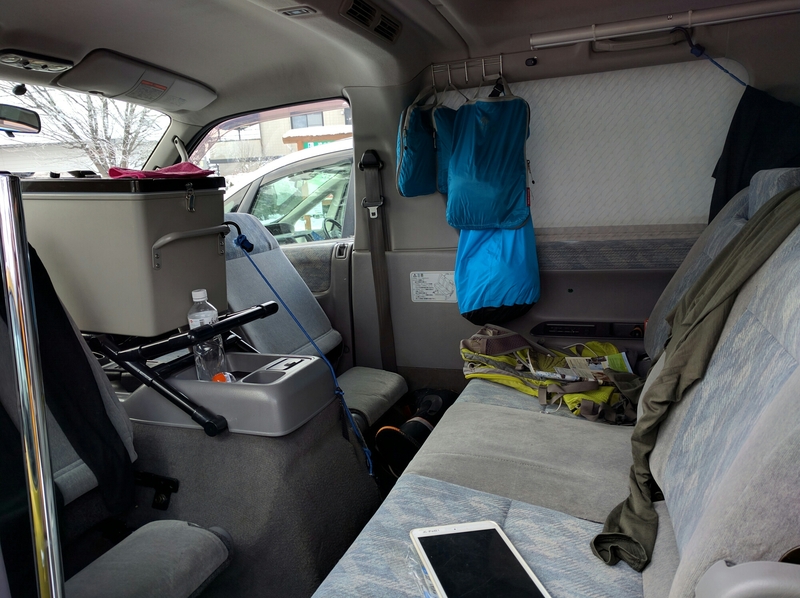 For our final day in Kyoto, we drove the van to the outlying sights, which includes most of the scenic temples/shrines edges of town near the surrounding mountains. To try to best the crowds, we hit Kinkaku-ji first. Despite our best efforts, two buses had already disgorged their masses by the time we arrived. 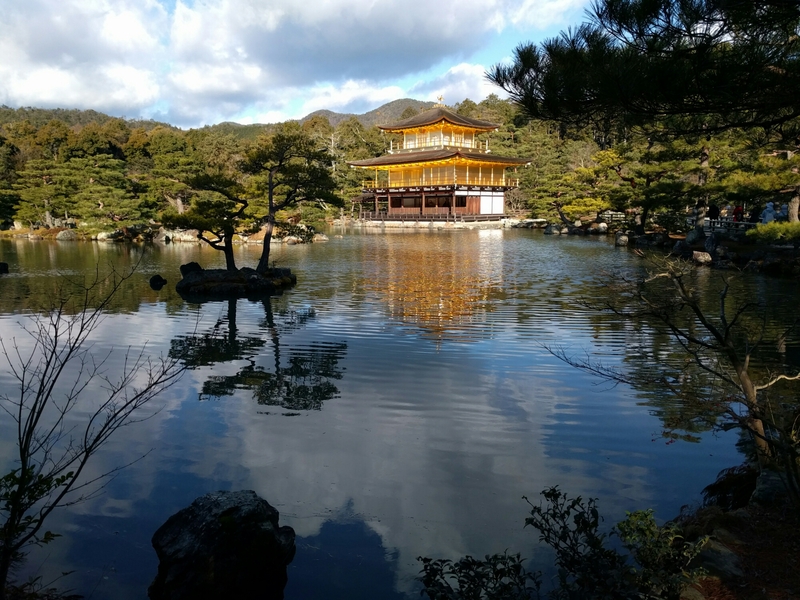 The Golden Pavilion was still amazing to behold. Kinkaku-ji golden pavilion. Each floor is a different style. 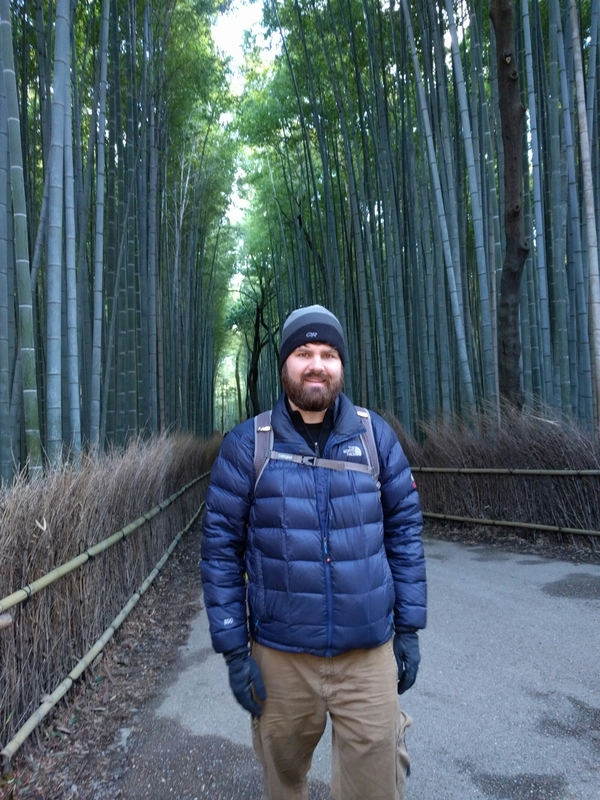 Rob really wanted to check out the bamboo forest so we headed there next. Thanks to Google maps, we had no issues finding the bamboo grove. However, it was just one pathway section. It looked as if it were marked somewhere else, so we wandered around the larger park area expecting to find a bigger grove to no avail. That one pathway stretch is what you get. It’s beautiful, but don’t expect it to be large or deserted. Then, it was on to my choice, Fushimi Inari-Taisha. We didn’t realize that we were embarking on a hike. 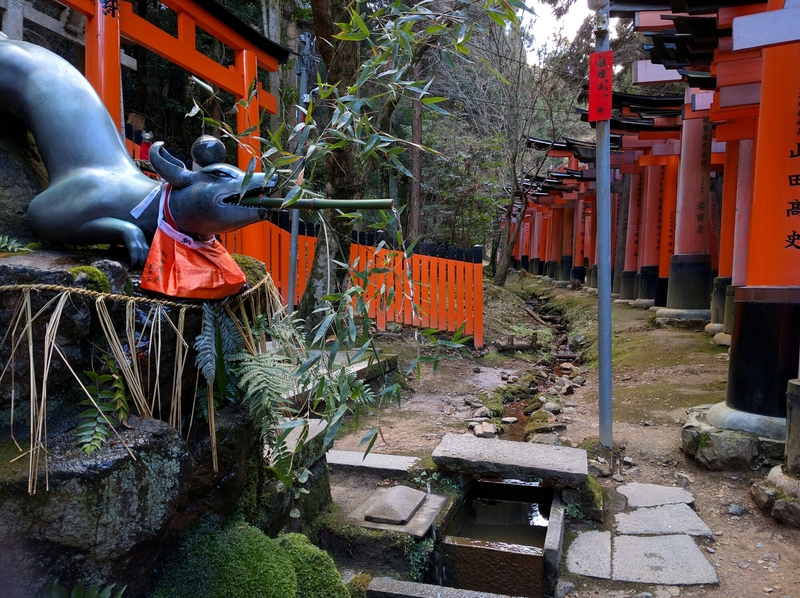 The orange gates that the shrine is famous for cover an entire mountainside lining paths/staircases. The gates continue. The density does vary on the trails but on the main trails, there are only a fee missing. We had to go a ways up before the throngs were left behind and I could get a shot of just Rob. Our last stop was the temples of Ginkaku-ji and Hōnen-ji. These are located near Gion so we had a chance to glimpse the area in the daylight. 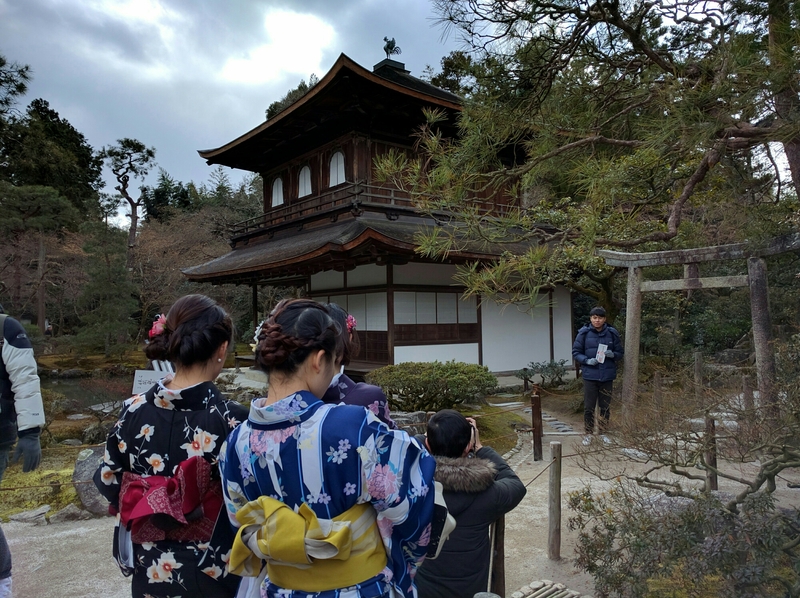 We had wondered about the large number of people dressed in kimono, but this drive shed some light on our puzzle. Many of them were tourists who paid to dress up for the day and take photos at the many beautiful locations around town. 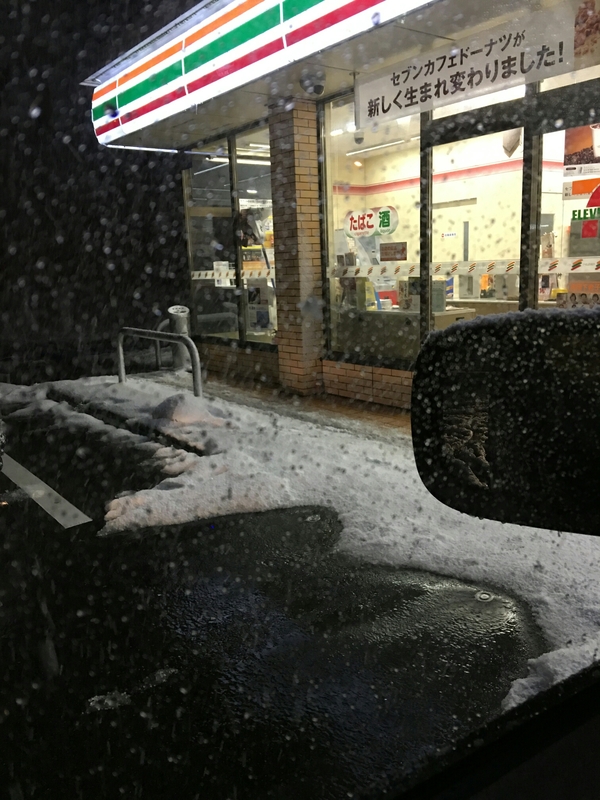 As we drove out of town towards Nagano, it started snowing. We made the decision to go on the sea of Japan side of Nagano. It was a beautiful drive along coastal highway for parts, but it took a turn for the worse when our route plan had the exact opposite effect we were hoping for – lots of snow. Apparently, the storms blow in from the Sea of Japan. 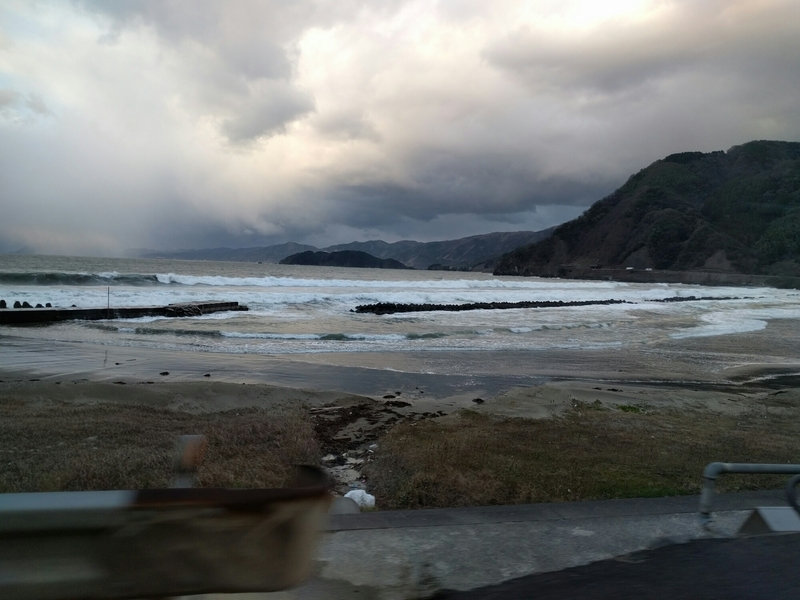 Waves in the Sea of Japan as seen from the coastal highway. We had noticed they spray water on the road and parking lots to keep them clear of snow and ice. Sprayers in the 7-11 parking lot. Our first convenie dinner! 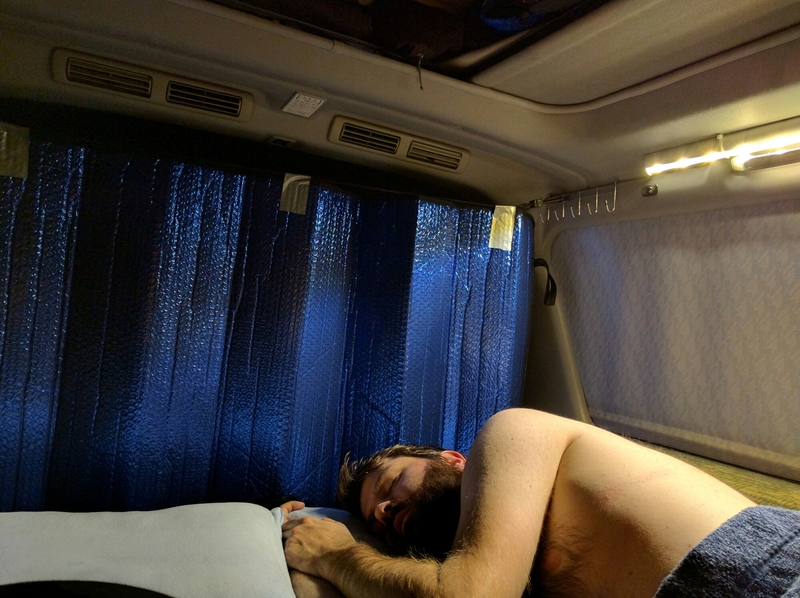 Rob finally called it quits on the driving for the night an hour out of Hakuba Cortina. *chronologically this occurs before skiing day 1 but thanks to a WordPress app bug, I lost my 1st unpublished post. 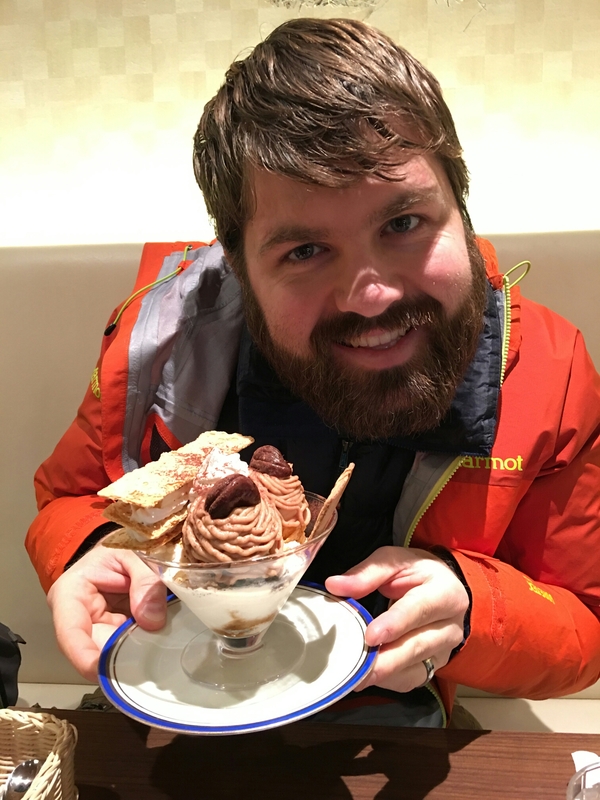 Based on forecasts, powderhounds’ review and price, Rob and I chose Hakuba Cortina as our first stop. 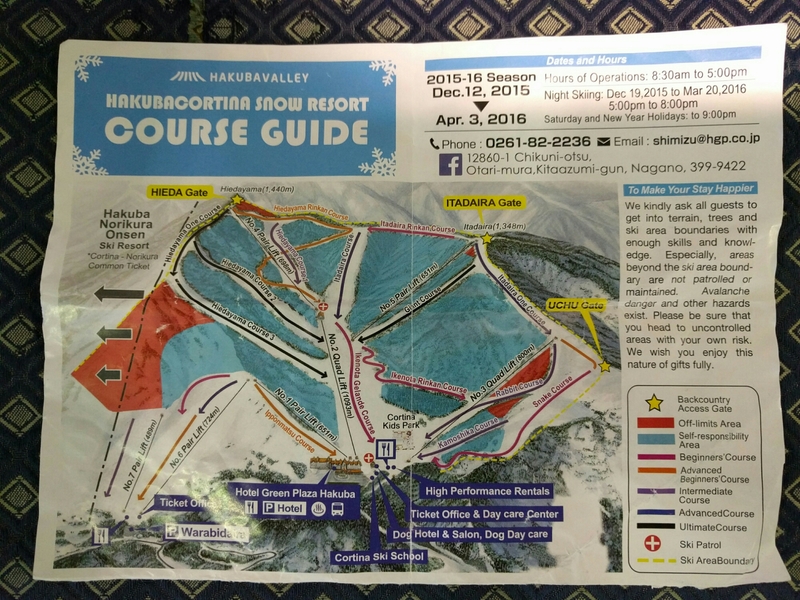 Unlike most Japanese resorts, it offers off-piste skiing legally in their “self-repsonsibility” zone. We were incredibly surprised to find it packed before opening on a random weekday, but considering it was mainly Gaijin vacation crowd, it made sense. 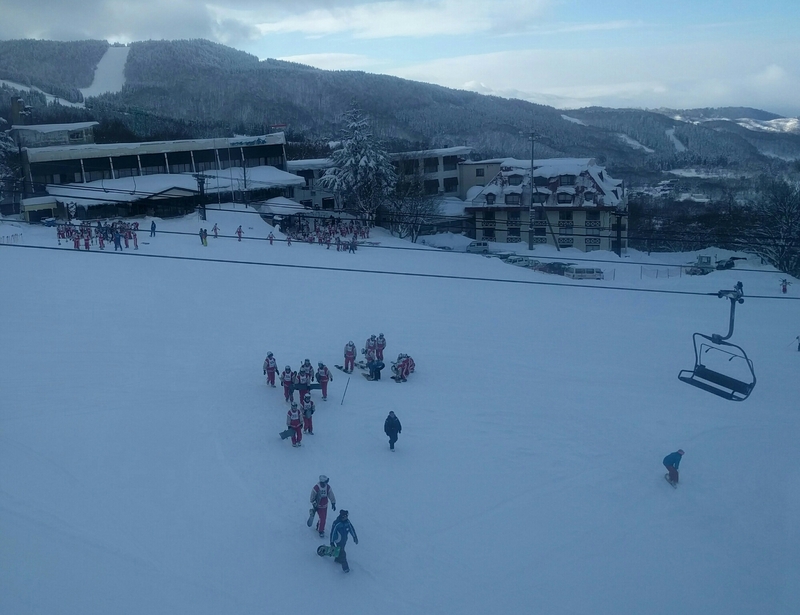 It turns out that we got lucky in our choice of resorts as many of the surrounding ones had lift closures due to high winds. Hakuba Cortina is a relatively protected basin. Many people went there after their other plans fell through. This also seems to be a popular storm day sidecountry place. Rob and I had never seen so much touring gear, especially avy packs, around a ski resort before. The lift ticket line took us over 45 minutes, but we happened to find some fun folks in line to talk with. 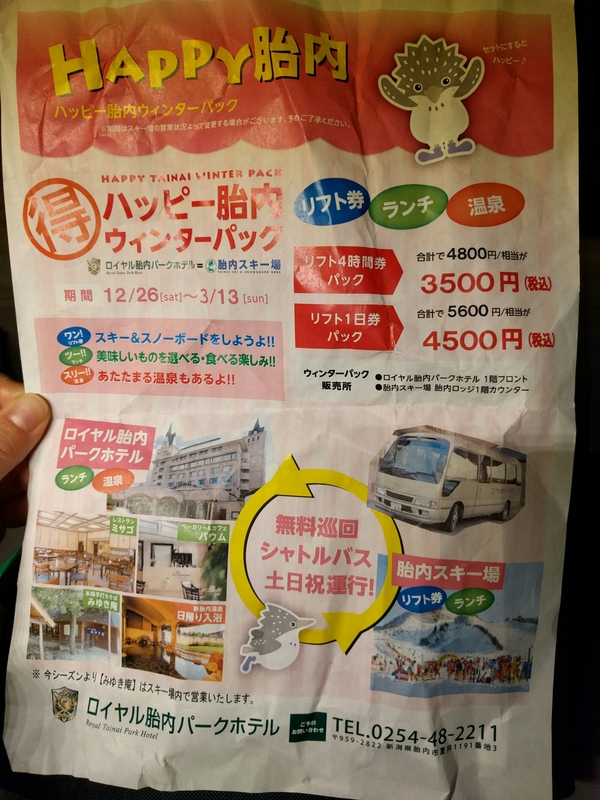 They shared their package deal coupon (ask at tourist info to get one) with us, so we got a lift ticket, 1000 yen toward lunch and onsen with towel at the base hotel for 4000 yen (~$34). Rob ended up skiing with them for much of the day as I took our first day a bit easier. The pow in all the trees was pretty good although the trees and brush here are quite different. Most brush you can ski through although sometimes there are tough vines that don’t give. The tree branches can be whippy and you get go practice skiing with a pole/hand in front to protect your face. I heard the termed “getting flossed” for the first time in reference to surprise trees. We met up for a tasty lunch in the base hotel/ski lodge. It turned out that Holly and Jameson live in Seattle less than 10 blocks from our place. Definitely a small world moment. Hopefully we’ll catch them for Taco Tuesday at the 5th ave tavern sometime. 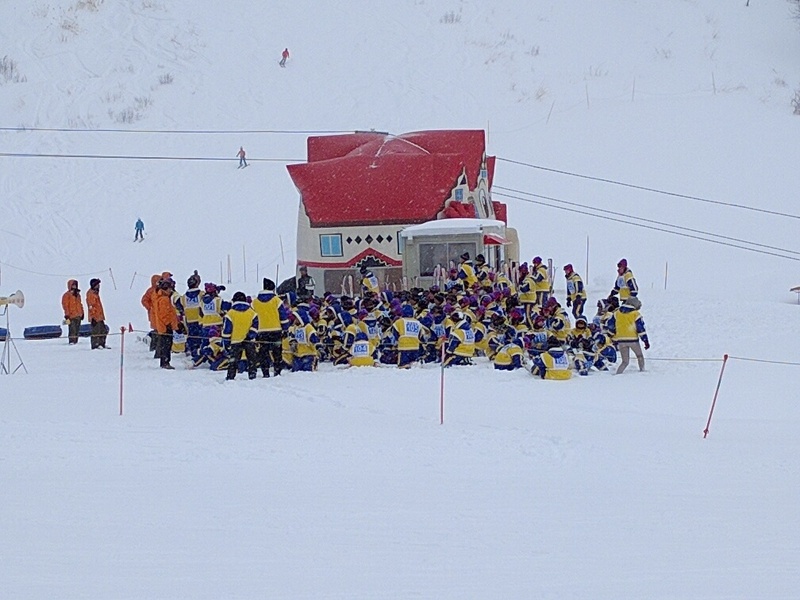 There was also some school ski trip going on at the resort as there was a mass of Japanese kids dressed alike taking group ski lessons. We couldn’t help wondering if this is where the inspiration for the minions in Despicable Me originated. After skiing, the hotel onsen was quite nice with a large variety of pools, including one overlooking the slope where you could watch the snow cat grooming begin. We ran into another Japan Campers group outside the onsen. Unlike us, they were headed back to a hostel. 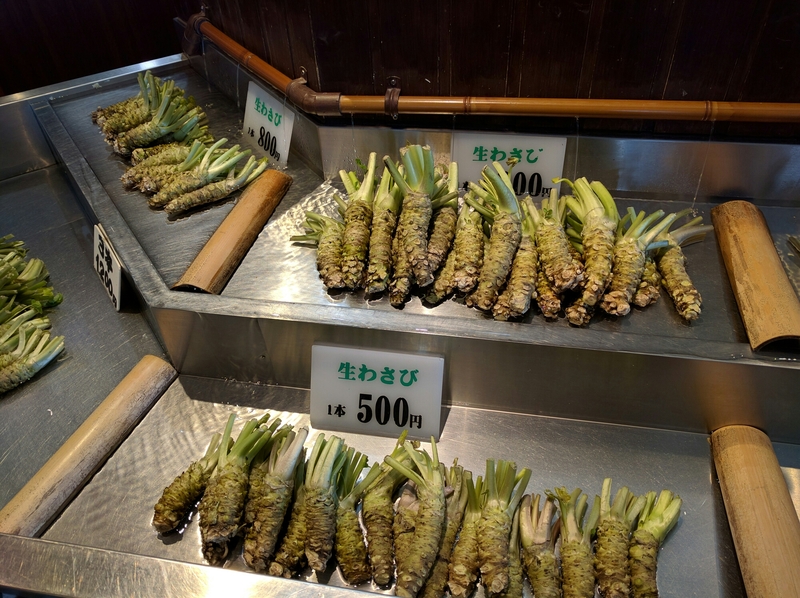 We drove to town for groceries and continued on to the nearby Hakuba valley michi-no-ekki (there’s one near otari with an onsen if you’re going the opposite direction through the valley). Two sisters from Chicago mentioned Nara to us describing the abundance of deer. That description doesn’t do Nara justice. Based on that chat and a quick read of the guide book, we thought there was a deer park and then a park with temples and shrines. Nope, they are one and the same. The deer are everywhere as they and many shops sell deer cookies for 150 yen. All the other tourist were buying them and feeding the deer, which was a hoot. The deer had strategies for getting fed. Some would go to the kids first looking for food. Another deer had staked out the deer cookie booth. 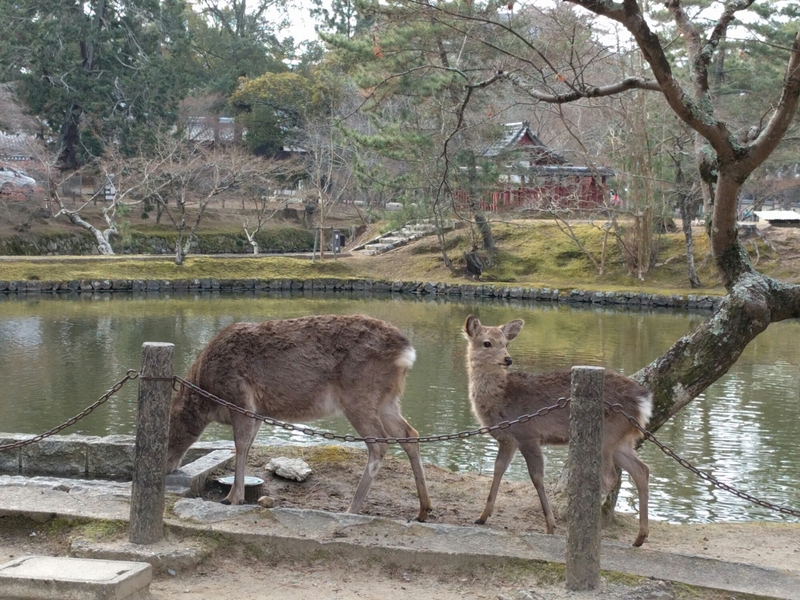 The relatively tame deer in Nara Park. 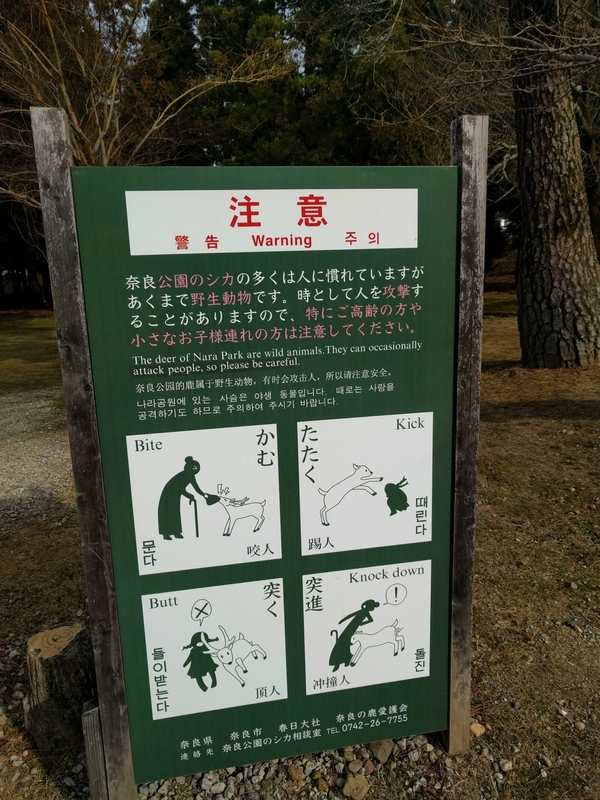 Deer interaction warnings in Nara. 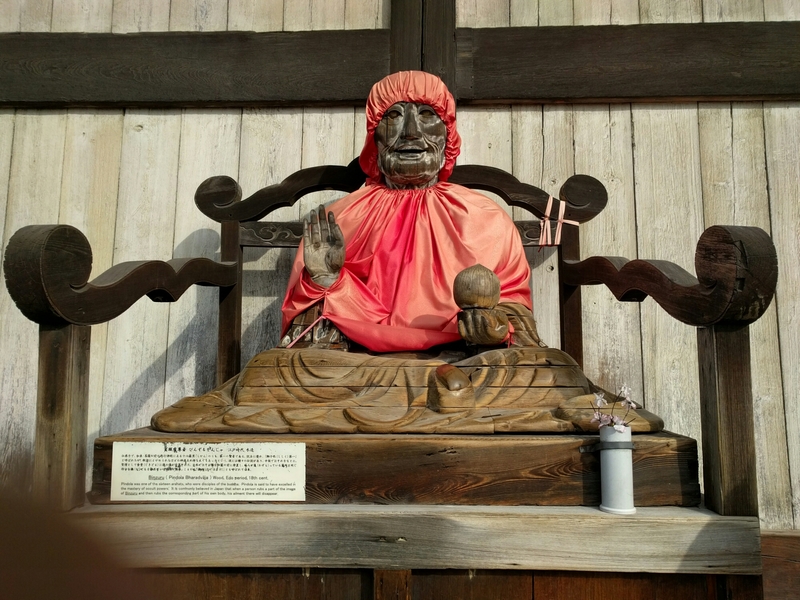 The other big tourist draw for Nara, once Japan’s capital, is the abundance of temples and shrines, especially one of the largest wooden buildings in Japan, which houses a huge Golden Great Buddha at Tōdai-ji. 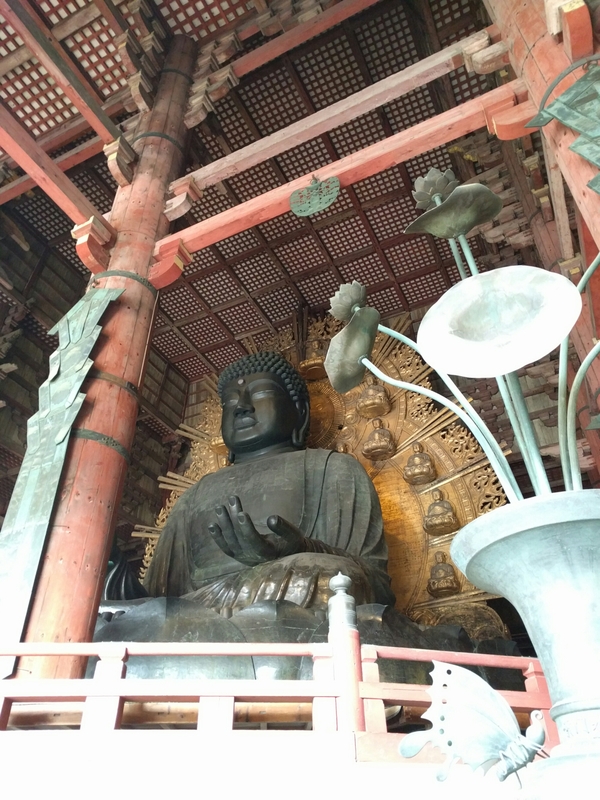 Daibutsu-den. Packed with tourist even in the morning. This guy was suppose to cure whatever body part you rubbed on him then rubbed on yourself. 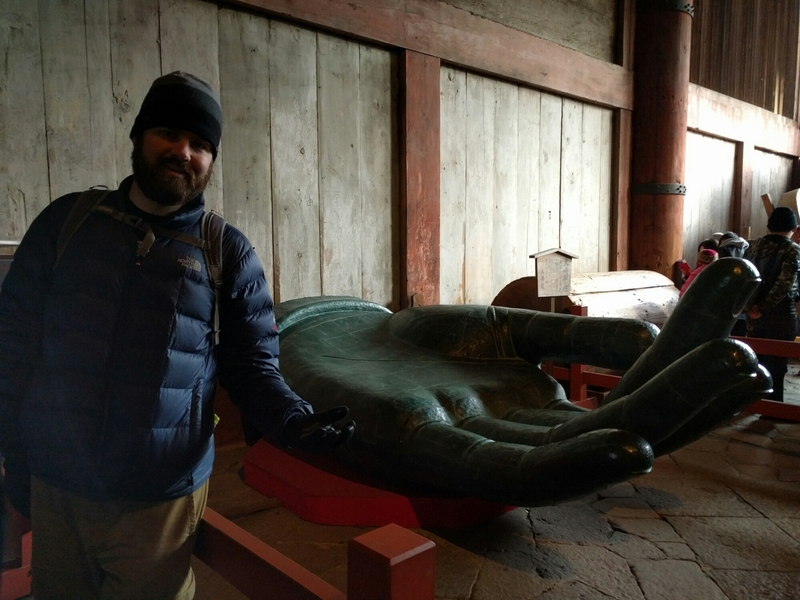 Buddha hand with Rob for scale. The Great Buddha complete with massive flowers. 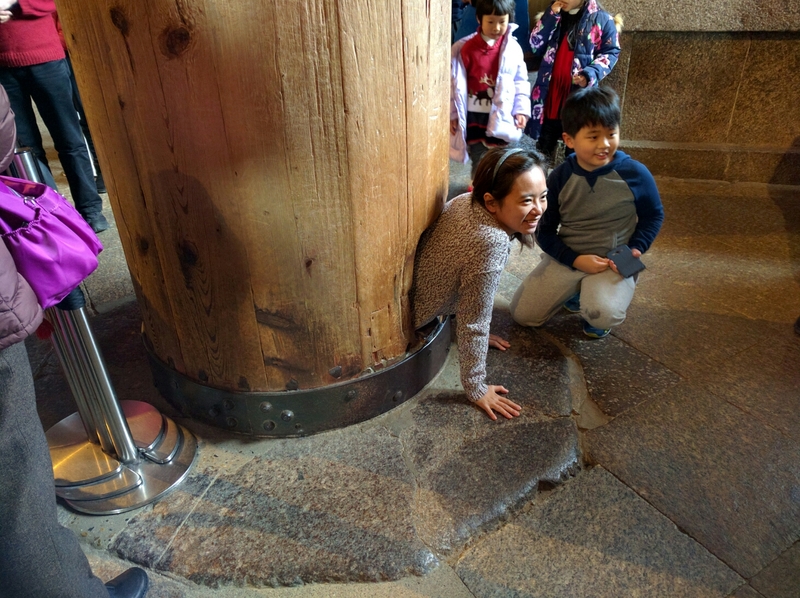 Crawling through this hole in the beam is suppose to mean that your assured of enlightenment (and provide a good photo op for your parents). There were to many folks for us to try. 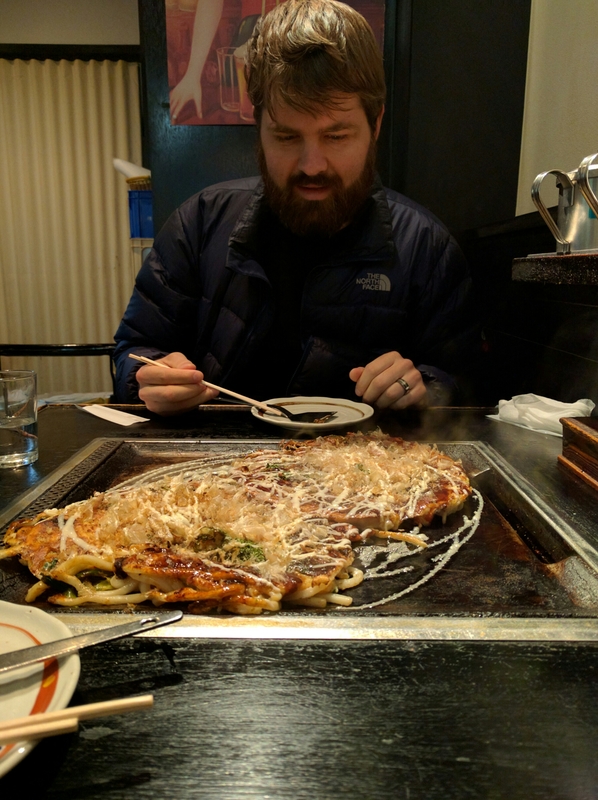 After wandering around the park for awhile, we decided to try some food that would be hard to cook in the van, okonomiyaki. It’s kinda like an egg pancake with cabbage, carrots and other stuff grated in it. 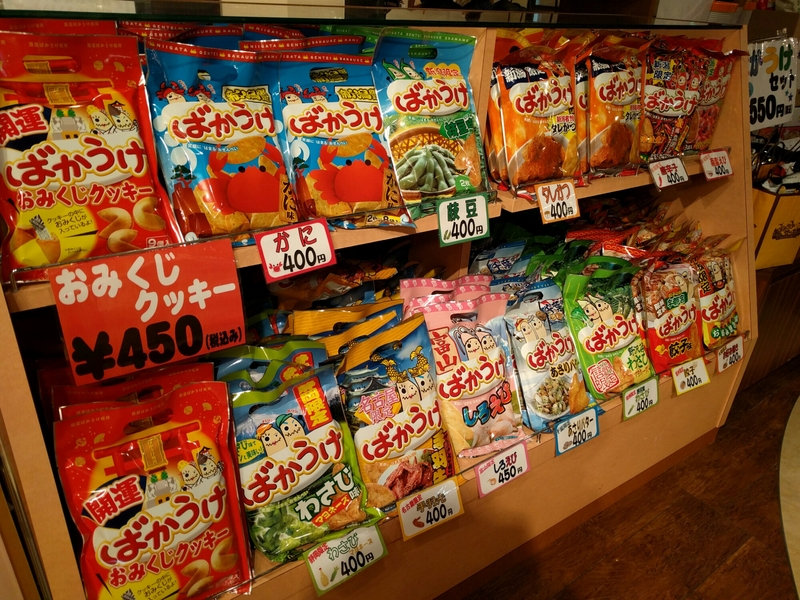 Somehow despite the replica food, we both ended up with ones containing noodles, ramen and udon, in addition to the normal stuff. They cook it for you, then deliver it to the hot pan on your table. You use metal spatulas to cut chunks off. 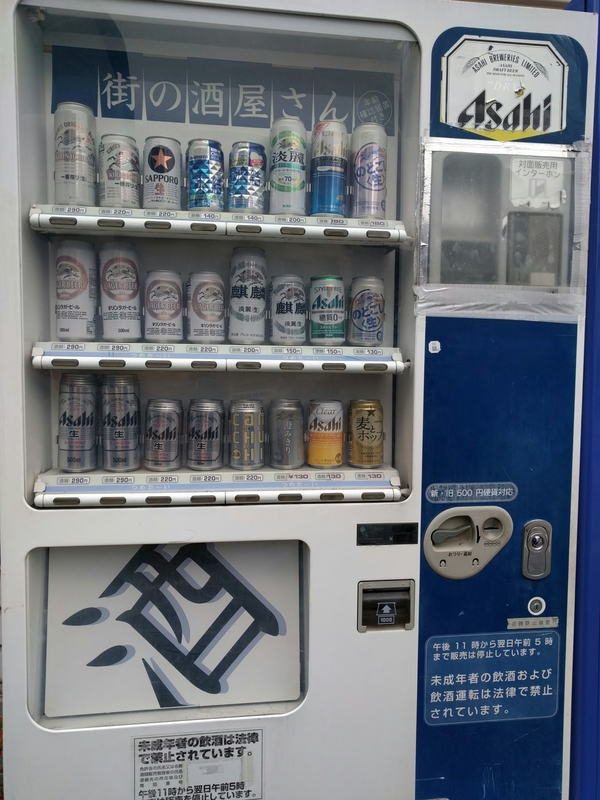 We also found our first beer vending while wandering around town looking for a sake tasting (which was sadly underwhelming) . I was surprised it actually took so long for us to see one. There prices weren’t even too terrible. 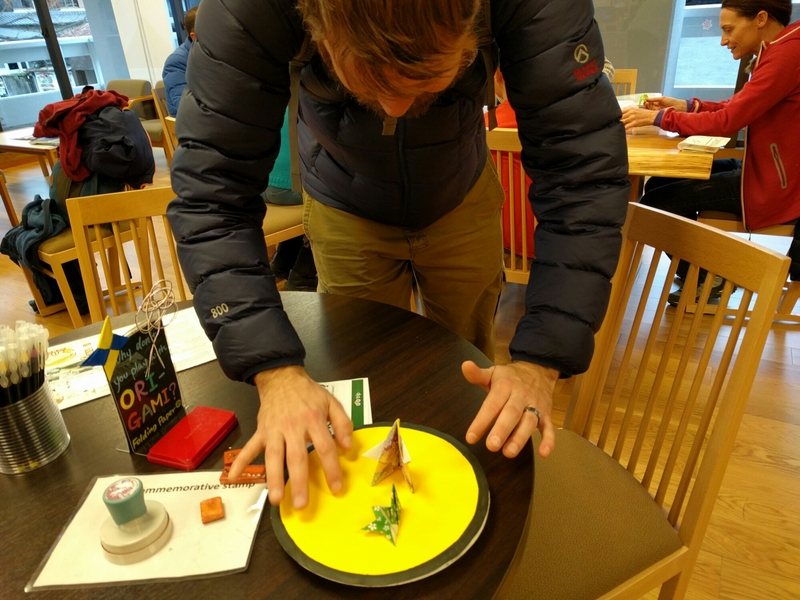 On the way back to the car, we stopped in a tourist info place and they had a number of activities including paper sumo. I asked and the nice guy working graves us a demo. 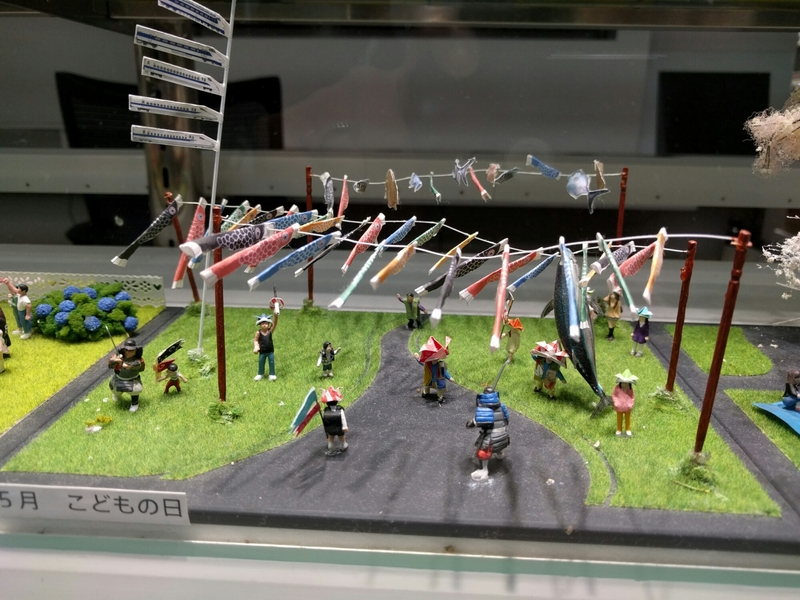 This might be the Japanese equivalent of paper football. We also tried on traditional Japanese clothing from the Edo period (pre-kimono). Pic to come. After that, Rob and I called our Nara day complete and headed north toward Kyoto. 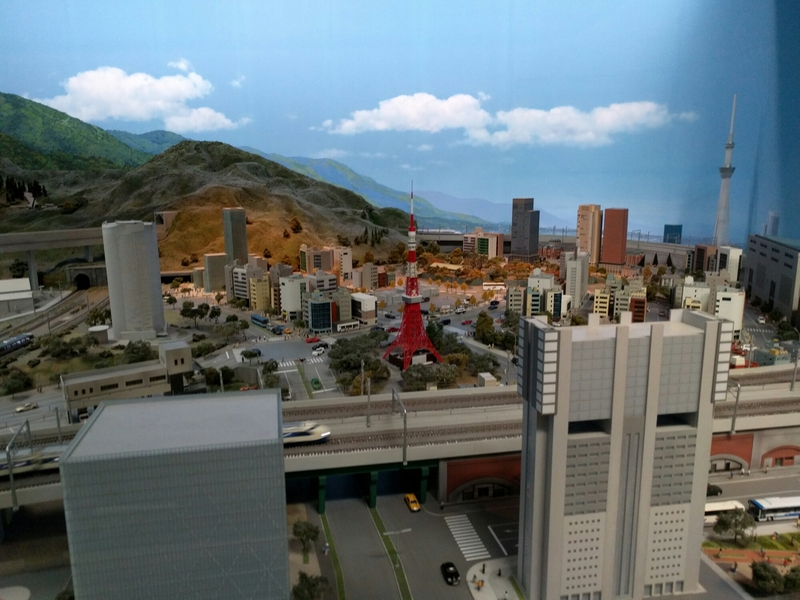 En route to Nara, Rob and I made a stop at the SCMaglev and Railway park, which is filled with all different types of Japanese trains. Since it was Saturday, the place was packed with Japanese families. 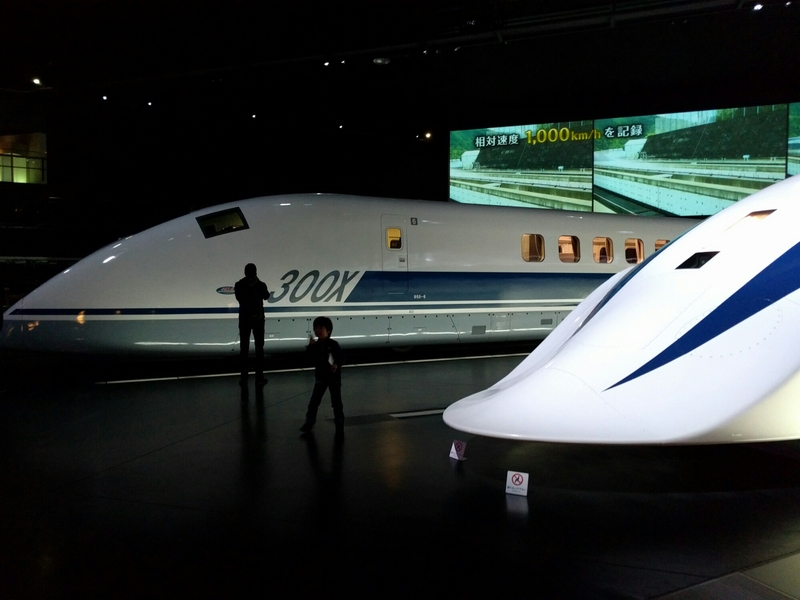 We managed to navigate around the throngs and check out their displays about the development of the Shinkansen railways and Maglev railways (up to 500 km/hour where current high speed trains are in the 200s. They anticipate opening it in 2027.) 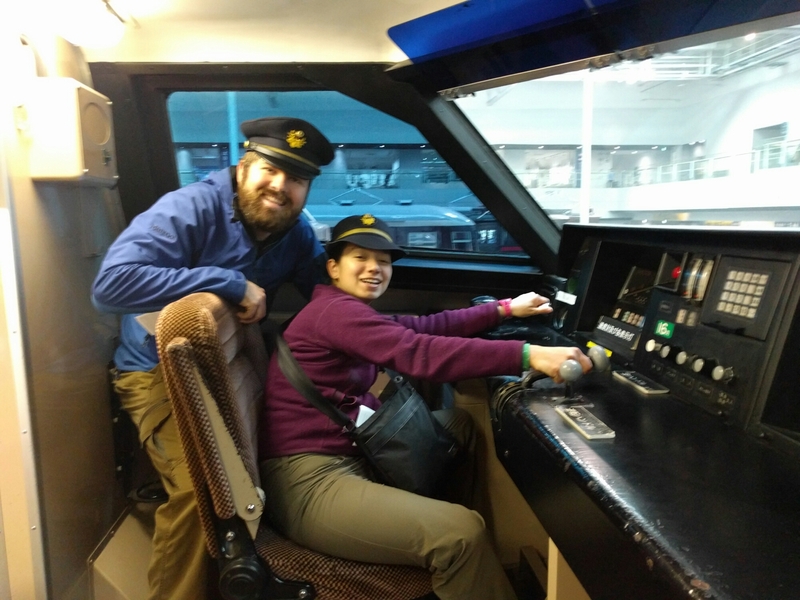 They also had a number of train driving simulators that you can put a ticket stub in a lottery to get a chance to buy a pass to do them. Shinkansen. These are two ends of the same train. They have different shapes. 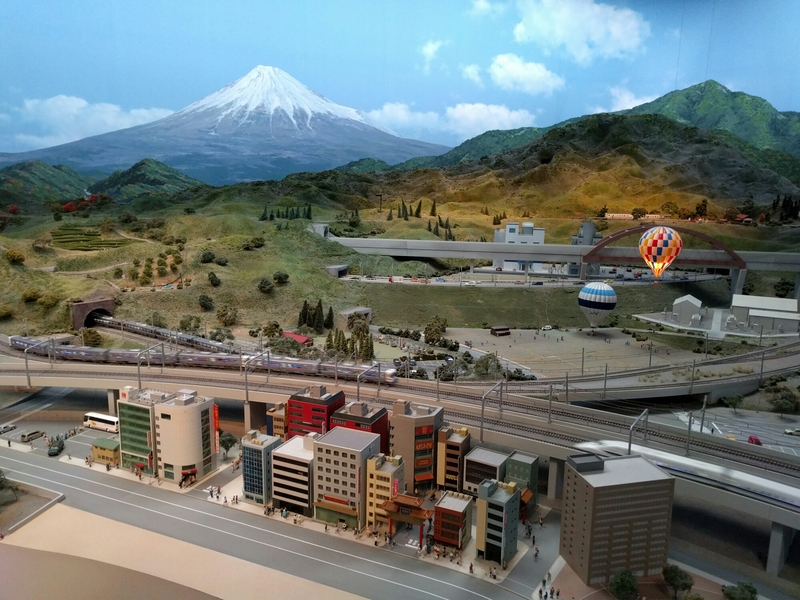 One of the fun surprises of the museum was a huge train diorama of the railway between Tokyo and Osaka. Uncle Dino would love it! It condensed a whole day to 20 minutes and things were programmed to the time of day. Lights would turn on. Boats in the harbour would drive around. The maintenance road car would driver out in the middle of the night. Side scene, not part of the main display, but I like the fish. Yes, the hot air balloons go up and down. 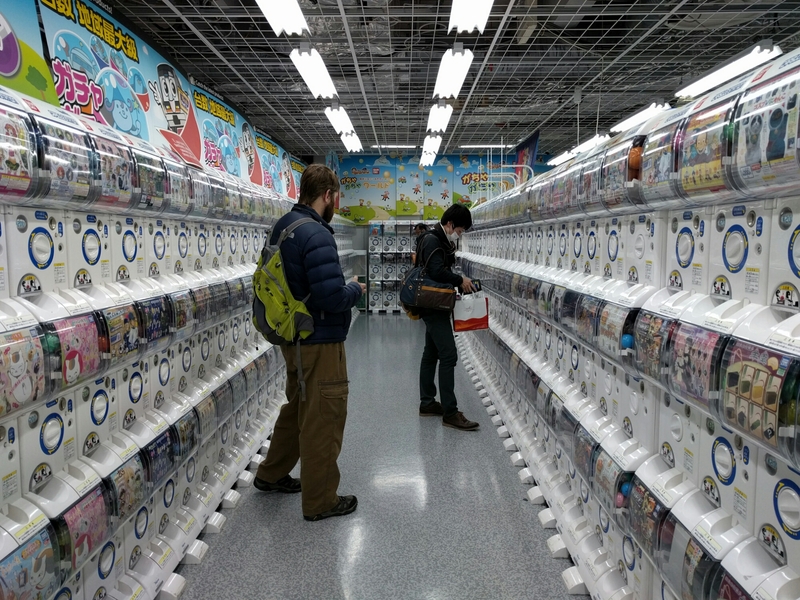 After the railway Park, we did one of my favorite things in Japan – shopping. We found a Beisia, which is similar to a Fred Meyer. I love seeing all the different items for sale here. We picked up some groceries, snack, stove gas and paper towels. 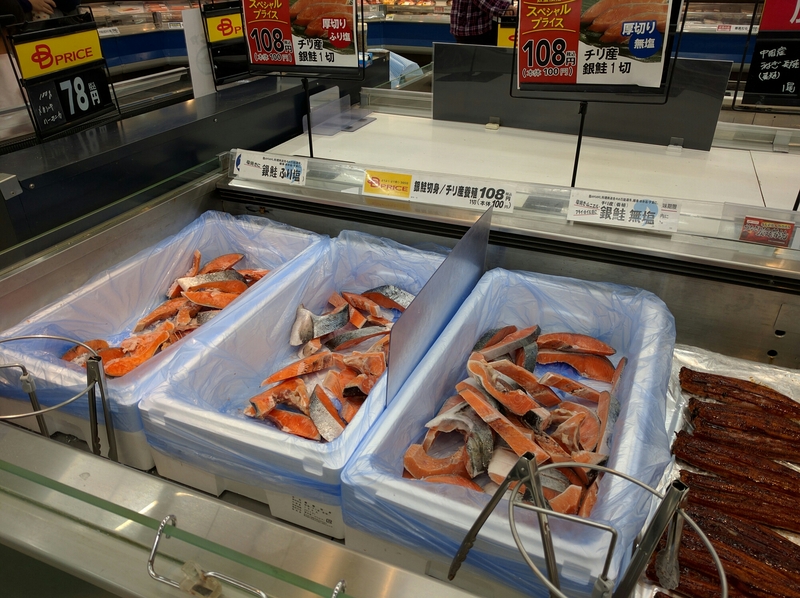 Pick your tuna section in the freezer case. 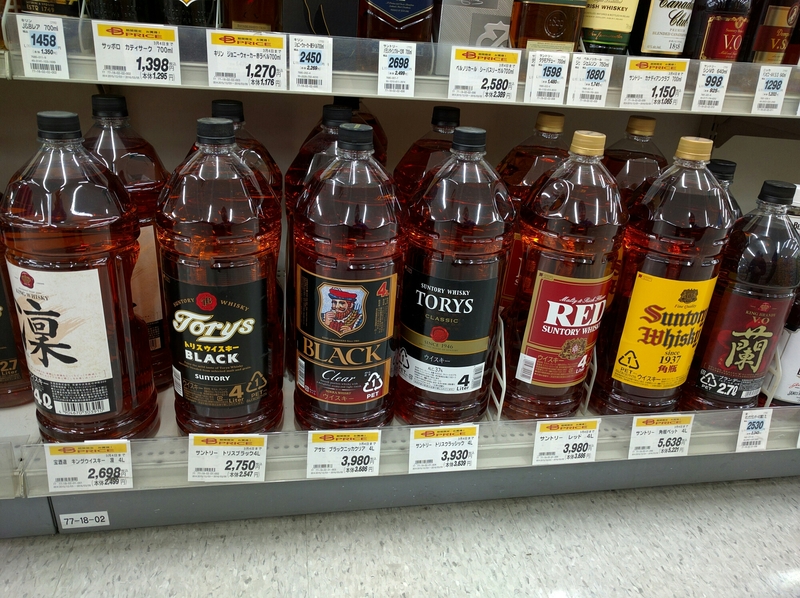 Large, plastic bottles of whiskey. The only one of these items we bought. 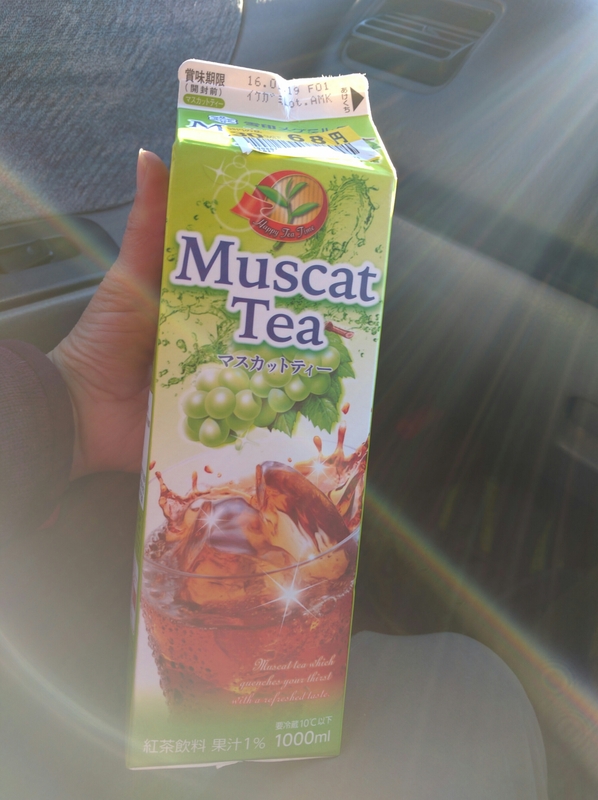 It was pretty tasty. 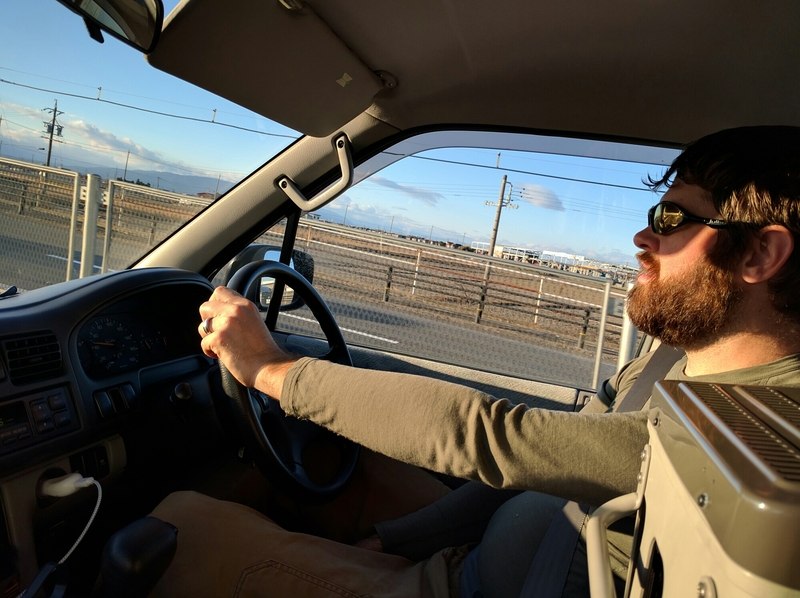 Rob and I rented a souped up Mazda Bongo Friendee camper van from Japan Campers. Here’s a tour of our new ride/digs. Note that the steering wheel is on the right. 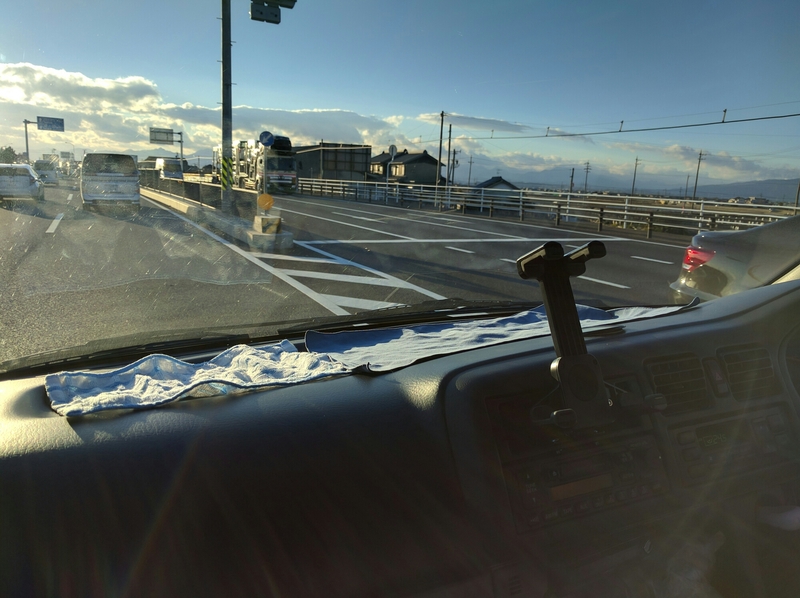 Japan drives on the left side of the road. The blinkers are also on the opposite side, so Rob kept turning on the windshield wipers on accident our first day. The kitchen/dining room. The one burner gas cook plate works really well (except in the cold) since it’s designed for home use. The gas cans are less than $1 usd each. The pot that came with the van is miniscule. Luckily, we brought our old camp cook set for one last hurrah. 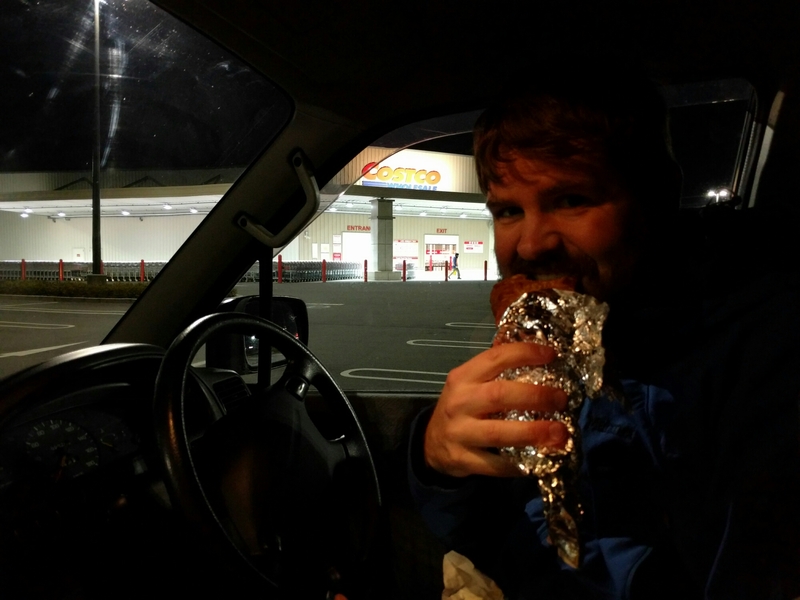 (If the pasta bag looks familiar, it’s because our actual first stop with the campervan was Costco. The dining room is also the bedroom and the sitting room. Beginner driver stickers: This symbol is displayed by new drivers for one year after getting their license. Ski rack that we need to make sure we don’t back into anything. Fridge: so we can keep things cold. Actually not a problem right now. 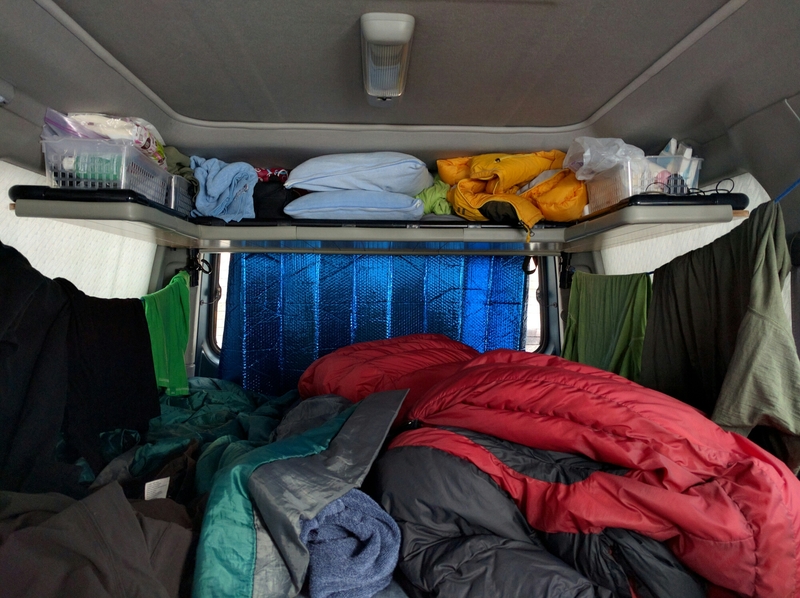 The Michi-no-ekki: a rest stop where overnight parking is totally cool. Our first night we were shocked at how many folks were sleeping there. They only have cold water and the bathrooms for this most part are not heated. Some have tourist info, a warm lounge, an onsen, shops and/or restaurants. 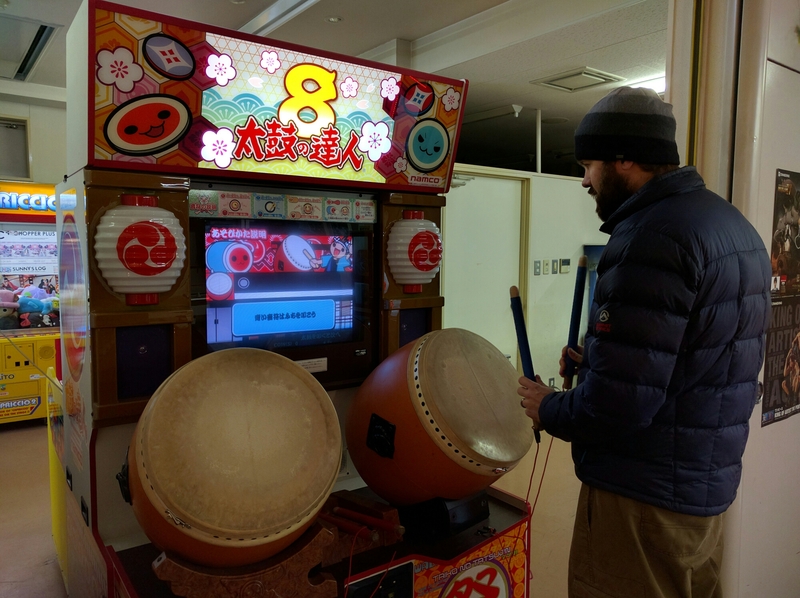 One even had an arcade. We found one in Kyoto next to Kyoto station. Only 1000 yen for 24 hours. Random lakeside beach. Really nice with only a couple other folks. People cycled in and out to watch the sunset and sunrise.